Recently, I had the opportunity and pleasure of interviewing Heidi Lender, a Connecticut born photographer who currently resides in Uruguay. Heidi was formally a fashion writer, editor, and photo stylist for various fashion magazines, while traveling to places such as New York, London, and Paris. She then changed directions and studied yoga in India and became a yoga teacher and owner of a yoga studio in San Francisco. 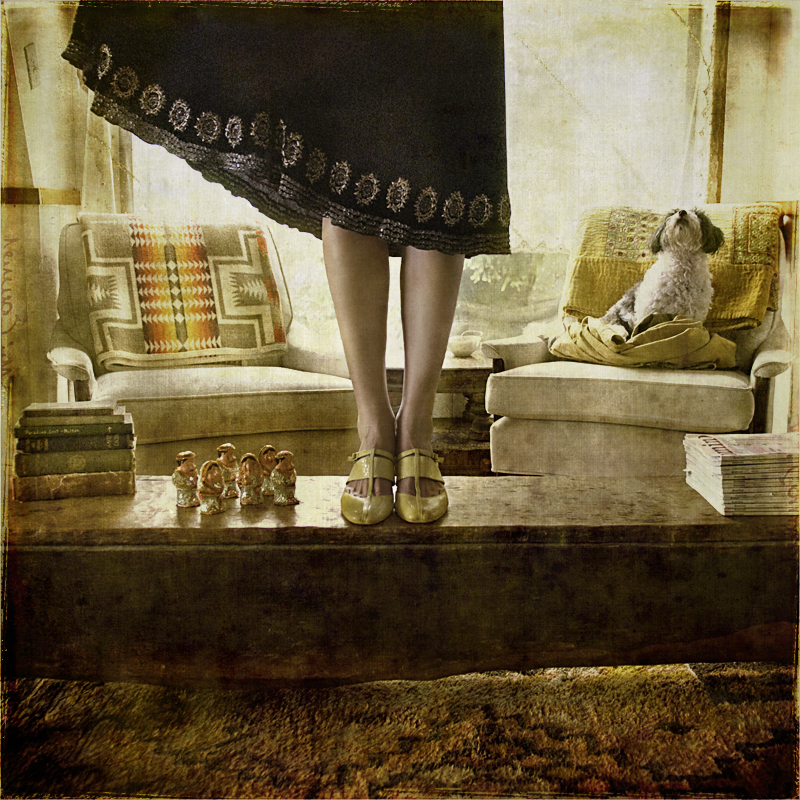 However, in 2009, Heidi’s life changed forever when she purchased her first DSLR camera and began creating images like the ones from her project entitled, Once Upon. A selection of Heidi Lender’s work is displayed below. 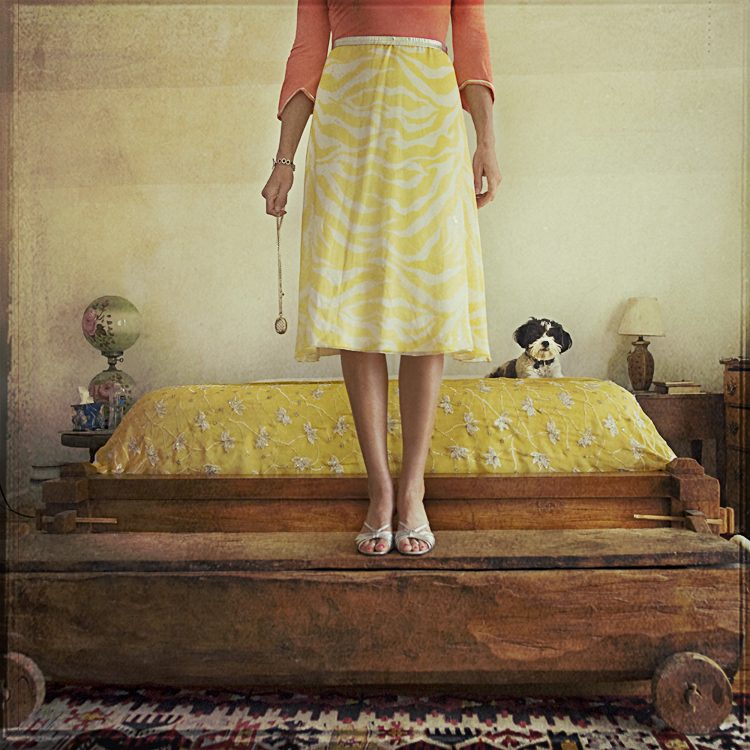 Please visit Heidi Lender’s website to view more of her wonderful work! KATHERINE CARVER: What were your beginnings as a photographer and when did you realize it would become your chosen form of expression? HEIDI LENDER: I bought my first dslr camera in 2009, while I was teaching yoga in a studio I owned in San Francisco. Though I had taken photos regularly most of my life, this was the year it clicked. Who knows why these things happen. I joined Flickr, gave myself an intense photo education and I was hooked within no time, almost obsessed. Suddenly, all the roads I had taken up to this point in my life made sense, and met in the making of images. KATHERINE CARVER: Did you study art formally? HEIDI LENDER: No, I majored in apparel and textile management in college, and went on to work in the publishing industry straight away – as an editor, features writer, and stylist. No art background whatsoever. KATHERINE CARVER: How do you describe your style? HEIDI LENDER: Stylized, personal, and balanced. KATHERINE CARVER: Can you describe the time when you first realized that creating photographs was absolutely something that you had to do? 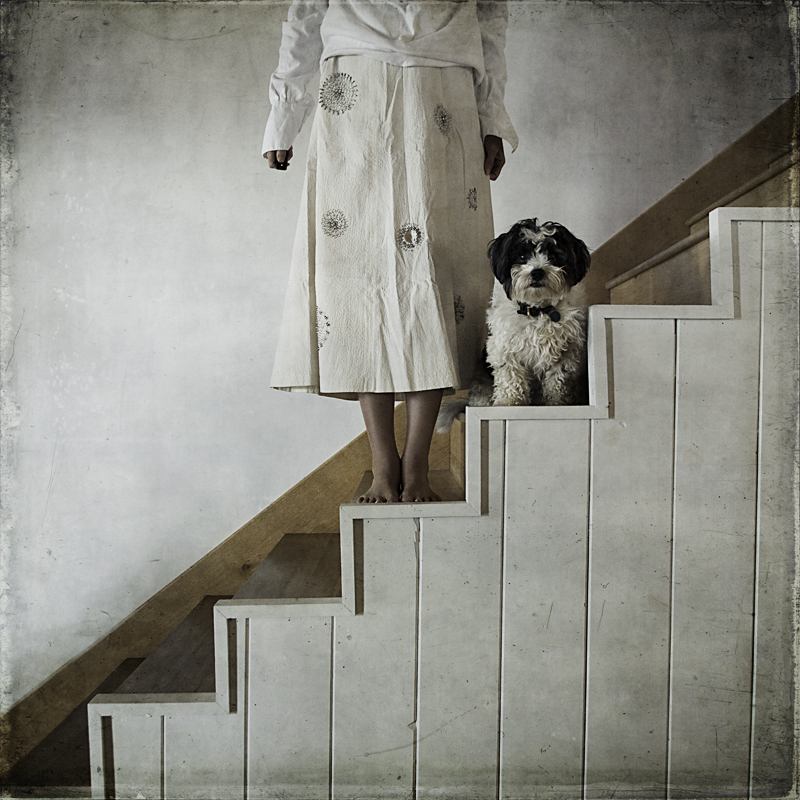 HEIDI LENDER: Within the Flickr community, I joined groups to help me learn. One was called “Bench Monday,” which had a weekly assignment. After half a year of submitting to this group, I was committed to my camera. Making images daily became almost as important to me as my yoga practice. 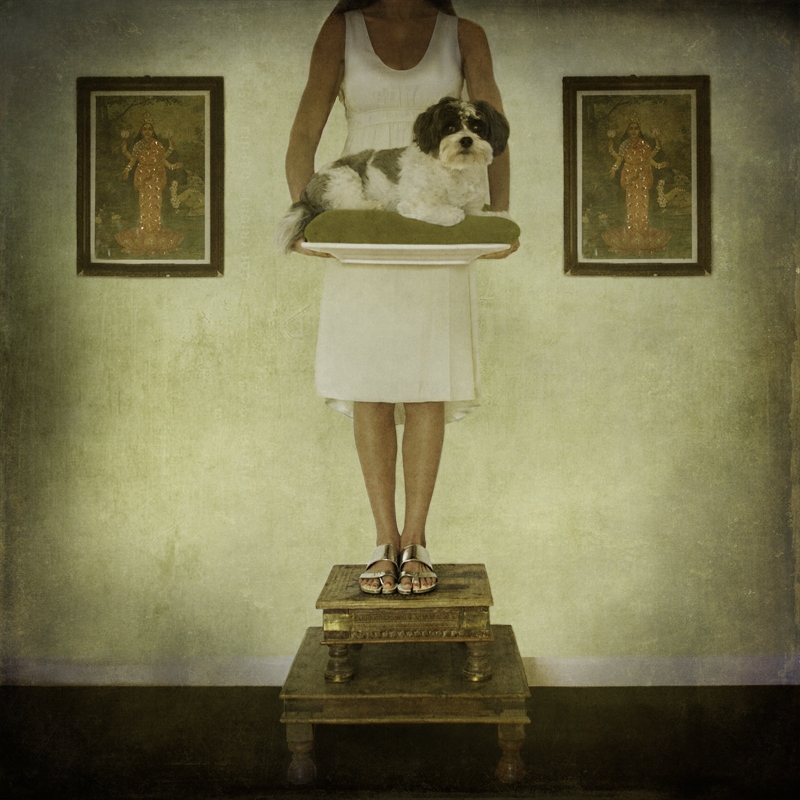 KATHERINE CARVER: What was the impetus that inspired you to begin creating self-portraits, which include your dog, Bubba, in your work entitled, “Once Upon”? HEIDI LENDER: See above: The “Bench Monday” group! KATHERINE CARVER: Where do you show/exhibit your work? HEIDI LENDER: I’m represented by three galleries in the U.S.: Richard Levy Gallery in Albuquerque, New Mexico, Guthrie Contemporary in New Orleans, and Wallspace Gallery in Santa Barbara. From time to time, I’m also part of group shows. KATHERINE CARVER: What does “being creative” mean to you? KATHERINE CARVER: What is the most challenging aspect of being a photographer? HEIDI LENDER: Timing. I wish I were more patient. I think I’d make better work. KATHERINE CARVER: What inspires you to keep going and what keeps you motivated? HEIDI LENDER: As you mentioned above, once you realize that you HAVE to take pictures, it’s not hard to keep going. Because you HAVE to. Because it feeds you. And if you don’t do it, you feel empty. Hungy. Of course, I have bad or down days, or long dry periods of not making any substantial work, but my iphone is just about attached to my hand, so I am always practicing and recording and honing my eye. KATHERINE CARVER: What are the most rewarding and satisfying part about being an artist and creating art? HEIDI LENDER: Freedom. Freedom of expression. And being inspired and hopefully inspiring back, effecting, touching, and motivating someone somewhere. KATHERINE CARVER: What kind of patterns, rituals, and routines do you have while making your art? HEIDI LENDER: I make it a point to post to instagram every morning. And I look at a lot of images all the time, on the internet and in books. I’m a mad photo book junkie. KATHERINE CARVER: What are you working on now? 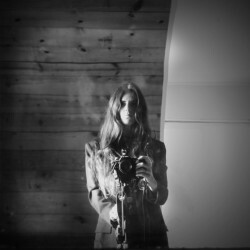 HEIDI LENDER: A new idea is incubating, something that is evolving from my iphone work. It is too early to discuss. KATHERINE CARVER: What artists inspire your work? HEIDI LENDER: Irving Penn is my hero, and I’m all giggly girl for Wes Anderson. I love vintage fashion photos – they probably inform a lot of how I interpret what I see…color, composition, and style. KATHERINE CARVER: What advice do you have for aspiring artists? HEIDI LENDER: Keep practicing. And showing up. Your work will evolve and grow even if you can’t see it happening. I promise!! KATHERINE CARVER: How can people view and purchase your art works? HEIDI LENDER: My projects are on my site: heidilender.com. The about page lists the galleries that sell my work. And my instagram photos (@heidilender) are all for sale through me. Please note that all of the images contained in this blog post are courtesy of Heidi Lender. You can read additional interviews here. Recently, I had the opportunity and pleasure of interviewing Emmie Brown, an artist residing in Florida and the owner of Pet Pieces. Emmie makes portraits of animals using magazine clippings. “Each portrait begins with a stack of magazines and a photo of my ‘subject.’ During my tedious clipping process I not only search for the perfect tones and colors, but I also love to find random little images and words that make each piece uniquely its own. I then arrange and glue the pieces down from eyelashes to ears until I am satisfied that I have captured the subject’s likeness and personality.” I love Emmie’s work! A selection of Emmie Brown’s work is displayed below. Please visit Emmie Brown’s website to view more of her wonderful work! KATHERINE CARVER: What were your beginnings as an artist, and when did you realize it would become your chosen form of expression? EMMIE BROWN: I was always drawn to making art from the time I was a child. I recently found an old children’s book in my parents’ attic. In this book, each page was blank, with an area to draw the responses to the questions appearing at the top of each page. On the “What do you want to be when you grow up?” page, the five-year-old version of myself had drawn a little figure holding a paintbrush and standing next to an easel. So I guess you could say I knew from a young age that I wanted to be an artist. EMMIE BROWN: Yes, I studied graphic design at Flagler College located in St. Augustine, Florida. Up until my senior year of college, my plan was to be a graphic designer. I enjoyed graphic design very much; however, it wasn’t my true passion. I really only chose graphic design over fine art because I thought I could earn more money as a graphic designer. However, my family really encouraged me follow my real dream, which is what I’m doing now. I will say that the graphic design degree does pay off – it is quite helpful to know how to create your own website and branding. 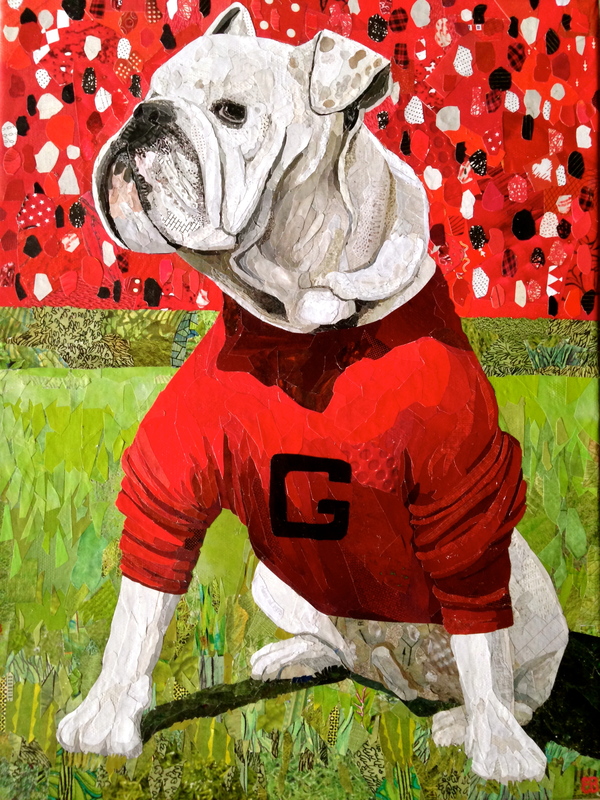 EMMIE BROWN: I always strive towards realism, but my medium forces me to keep a really whimsical quality to my art. My style has changed a lot over the past few years. I’ve gotten away from the looseness and randomness of my earlier pieces, and now my pieces almost look like paintings. Most people don’t realize they’re collages until they look closely. I’m not sure which style I prefer, and I think a balance of the two extremes would be ideal, so I will be working to achieve this balance in the future. KATHERINE CARVER: Can you describe the time when you first realized that creating art was absolutely something that you had to do? EMMIE BROWN: I don’t know if there was an exact moment for me, but I do know that I am quite shy. From a psychological point of view, I assume that I need to create art as a form of escape. I guess it’s a way for me to get my personality out on paper. I actually did not realize this until now! 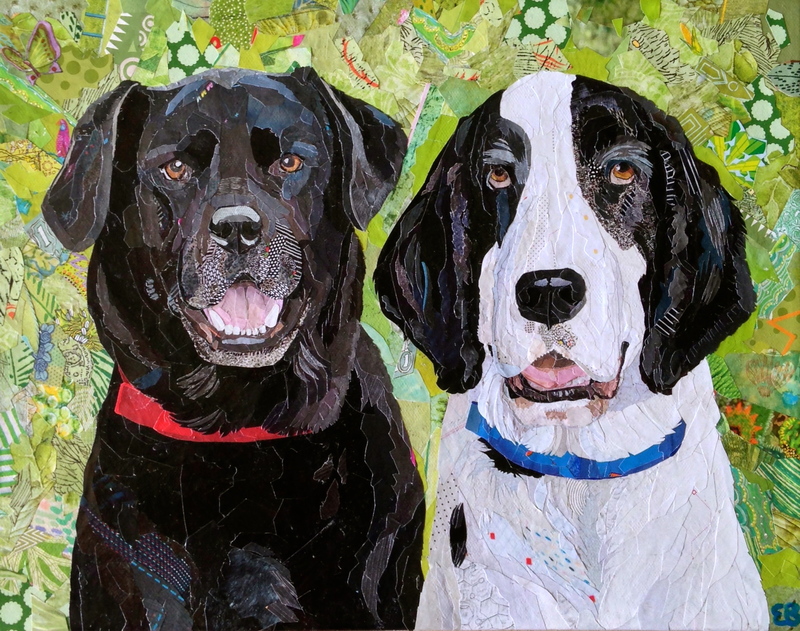 KATHERINE CARVER: What was the impetus that inspired you to begin making collages of dogs comprising tiny clippings/pieces of magazines? EMMIE BROWN: I got the idea when I was about ten-years-old. I have no idea what the inspiration was. My first “collage” piece was of Santa Claus. Our housekeeper, Jean, thought it was fantastic and had it framed. (Jean was always a big supporter of my art, including the finger nail polish designs I painted on the wall.) My mom still loves the Santa Claus that I made years ago, and it still hangs in my parents’ den year round. My next collage was of my first pet, a longhaired dachshund, named Pepper. A family friend saw the piece and wanted one created of his own dog. Before I knew it, the commissions were pouring in! 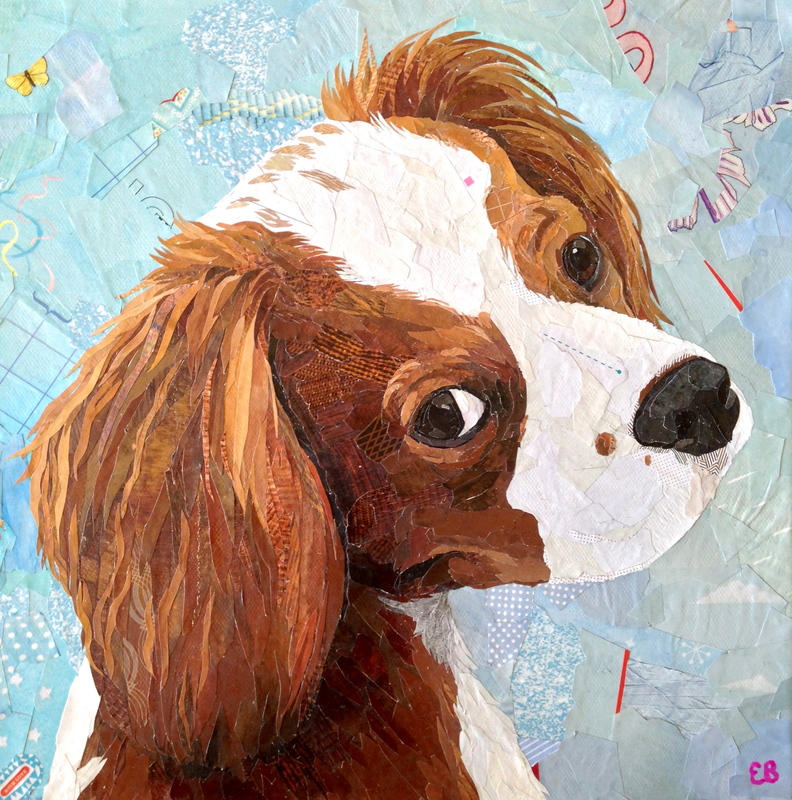 KATHERINE CARVER: How have your own dogs influenced your artwork? EMMIE BROWN: I have a deep understanding of how much people love their dogs because of how much I love my own dogs. When someone gives me a photograph of their dog, I have a responsibility to capture that dog’s spirit just as I would want my own dogs’ spirits to be captured. I know that this dog is somebody’s best friend. I want the portrait to bring about those feelings of love in the human companion, so I work extra diligently to ensure that each dog is vividly portrayed. EMMIE BROWN: Being creative is finding unexpected solutions. Many people are artistically talented, but what makes creativity is someone’s ability to create things in a different way. KATHERINE CARVER: What is the most challenging aspect of being an artist? EMMIE BROWN: I hate putting myself out there. Selling myself and my work is not my strong suit! KATHERINE CARVER: What inspires you to keep going with your work and what keeps you motivated? EMMIE BROWN: Though I enjoy my work, sometimes I want to walk away from it and tackle another project or just have a lazy day. But the feeling of satisfaction and accomplishment I obtain when I finish a piece is better than any day spent lounging by the pool. I have to remind myself of this sometimes. KATHERINE CARVER: What are the most rewarding and satisfying parts about being an artist and creating art? EMMIE BROWN: I love when people are so genuinely touched by my portraits. I’ve had many clients cry tears of joy when they first viewed the completed piece showcasing their best friend! To know that people have such a sincere love for their dogs makes me so happy. There are many of animals who aren’t lucky enough to live in a loving home and be spoiled by their humans like they deserve. EMMIE BROWN: Coffee, television, music, more coffee, and more television! I always have the television on while I work in the morning. Kathie Lee and Hoda are my morning staples, followed by The Price Is Right. I’m like an old lady. Then I’ll listen to music until Ellen comes on at four o’clock! EMMIE BROWN: I have always been amazed by Chuck Close. For some reason I am drawn to portraiture that is comprised of small, interesting units that make sense viewed from a distance. EMMIE BROWN: That is tough to answer because I am an aspiring artist myself! I think it’s helpful to have a niche. Dog art in itself is a niche, but I take it a step further by employing an unusual medium. So I think you should first figure out what you’re good at; what your best or most unique style is; and what subject matter you most enjoy. I’ve found that whatever work you’re most passionate about will become your biggest success. KATHERINE CARVER: How can people view your work? 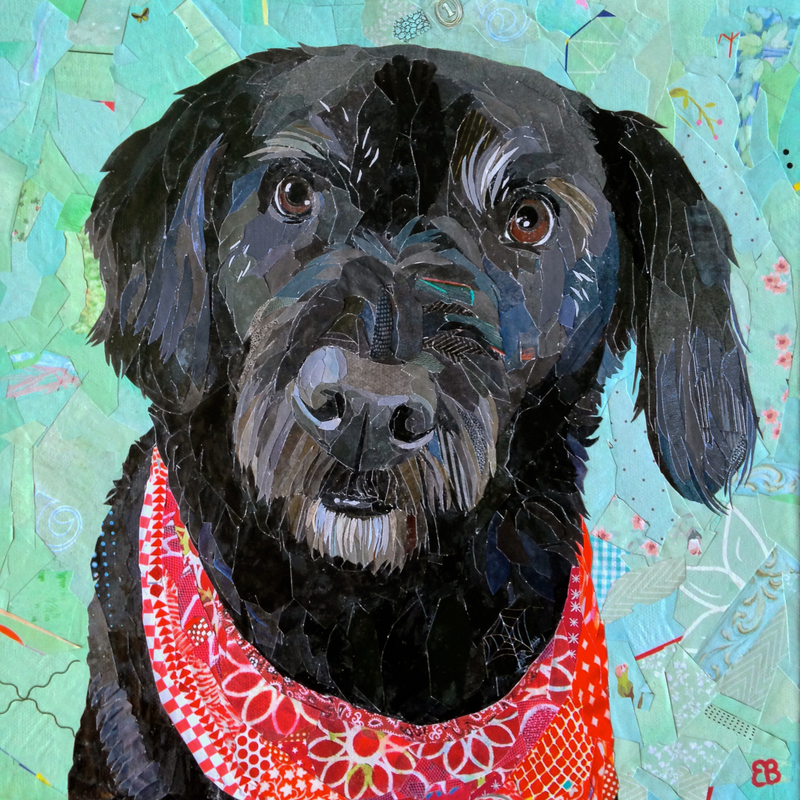 EMMIE BROWN: I am always posting new pieces on my Facebook page (facebook.com/petpieces) as well as my website, www.pet-pieces.com, and Instagram! (petpieces). Please note that all of the images contained in this blog post are courtesy of Emmie Brown. Recently, I had the great pleasure of interviewing Sam Edmonds, a social documentary and conservation photographer from Sydney, Australia. Edmonds’ work has been exhibited internationally. I truly enjoy Edmonds’ work, and I am sure that you will too! SAM EDMONDS: I became interested in photography when I was in high school. My parents bought me a DSLR for Christmas one year and I started photographing surfing on Sydney’s Northern Beaches but it wasn’t until I left school that I really considered taking photography seriously and begun to understand the potential of the medium as a form of communication. I have previously focused on drawing and painting but I became drawn to photography partly because people see photographs as a record – or even a truth – which is really not the case but I thought this was so powerful and something that I wanted to explore. SAM EDMONDS: At a tertiary level, I initially studied design but then switched to art and got a degree in photography from the Queensland College of Art in Brisbane. I studied the mandatory subjects like art history and semiotics but I was much more interested in taking electives to do with politics and ethics which was really the beginning of my journalistic/documentary focus. 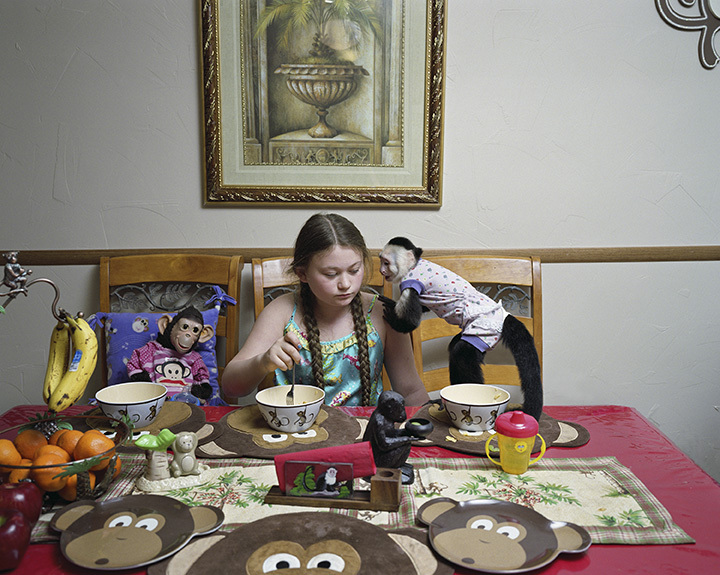 SAM EDMONDS: People often say my pictures are quite confronting and I think in a lot of cases this is true. The fact is that what concerns me personally are issues relating to exploitation or injustice; and most of the time, I choose to communicate these in quite a succinct and perhaps challenging manner. SAM EDMONDS: I think I realized how important photography was to me when I realized the importance of it as a way of bearing witness. I grew up near the ocean which gave me a great connection to it and to the species we share it with. The documentary, The Cove, was a big influence on me. For me, this film really illustrated the importance of bearing witness to such atrocities and how powerful the camera can be to making people aware of an issue. 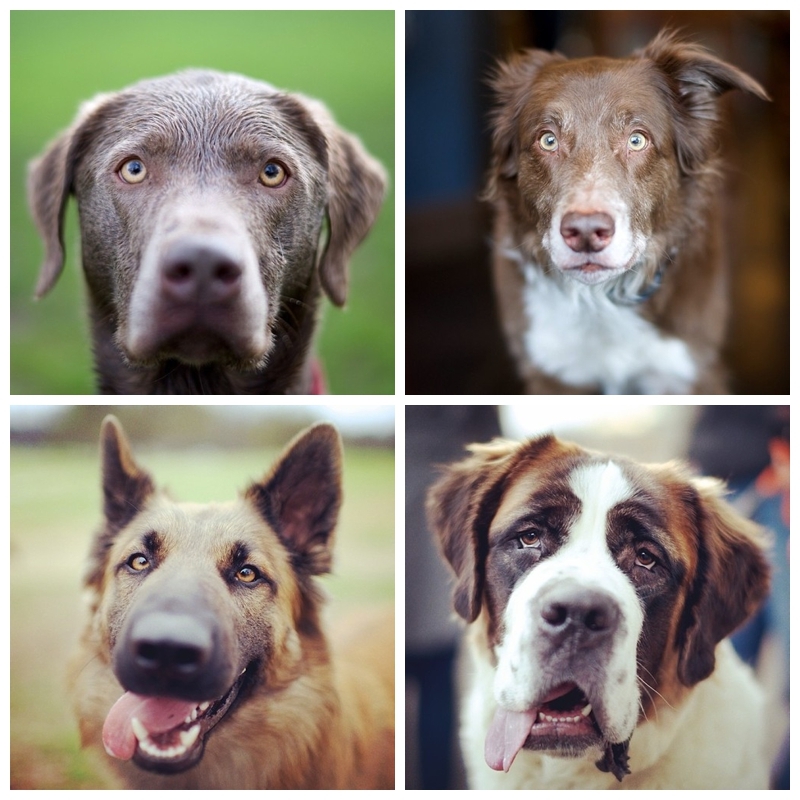 KATHERINE CARVER: What was the impetus that inspired you to begin photographing dogs? 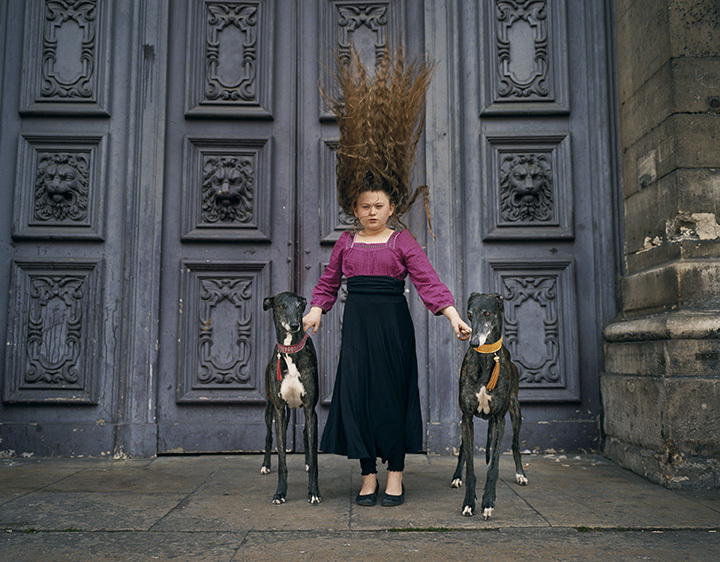 SAM EDMONDS: I think the focus that my work so far has had on dogs is something that has come about almost by accident but probably very subconsciously. I think most people, if not everyone, have a connection to canine species. They have been companions to our species ever since wolves began approaching our camp fires and throughout art and literature ever since they have often played a role. From Diogenes to Jack London, dogs have been both a source of inspiration and a measure by which we mark our own “civilization,” and I think that is something that is still being considered in art today. Diogenes noted the sincerity and the truth that lay behind the lives of dogs. I think the way we treat them, use them, live with them, and connect with them says a lot about us. KATHERINE CARVER: Where did the idea emanate for your series entitled, “Robindra Boys”? 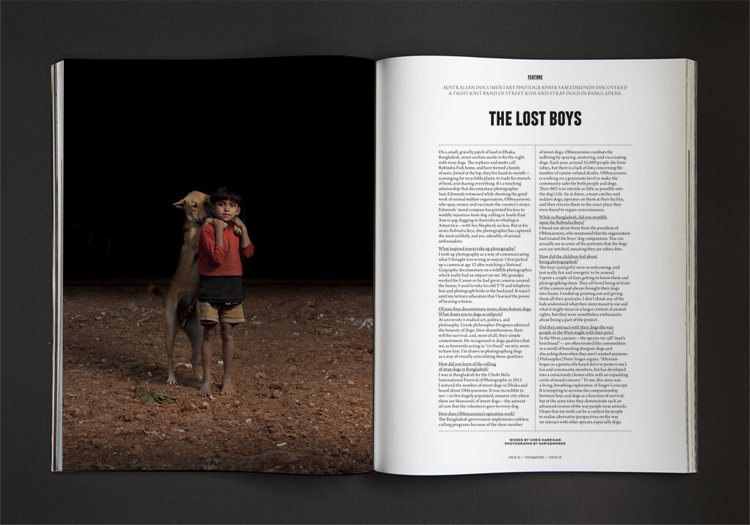 SAM EDMONDS: Robindra Boys came about when I was photographing with an NGO in Bangladesh called Obhoyaronno. This organization is doing fantastic things for dogs on the streets of Dhaka and it was their president that told me the story about this group of kids and dogs living in a park as one big family. As soon as I found out about this, I went to the park and met the whole bunch. To me, it just seemed like such a unique story and something really worth telling people about. SAM EDMONDS: Most of my work is featured either in online publications or in magazines because this allows me to reach the largest audience possible. However, I have exhibited in South-East Asia, Australia, and the United States. SAM EDMONDS: Being creative, to me, means seeing something that isn’t obvious and drawing attention to it – whether that is an idea, a technique, a function, or a thought. SAM EDMONDS: I think the most challenging aspect of photographing will always change dependent upon what “kind” of photographer you are. For me and my style of shooting, the most challenging aspect is usually discerning the most effective way of maintaining a politic within an issue whilst keeping an essay aesthetically pleasing enough that people are drawn to looking at it. SAM EDMONDS: It is really inspiring to see how people’s attitudes towards the environment and other species are beginning to improve lately but there are still so many injustices happening on a daily basis. We are made more aware of these now by the access to and ease of use of communication but sometimes it takes a little extra persuasion to take action on an issue. And I think that good documentary work can help to do this. SAM EDMONDS: For me it is seeing people genuinely reacting to or concerned by work I have produced. Robindra Boys has received a better response than I could have ever imagined so every time I receive an email or phone call from someone that has been affected by those portraits it is very rewarding. SAM EDMONDS: Recently I have been working with conservation group Sea Shepherd in both Antarctic and the Faroe Islands so I have been photographing there and helping to document their struggles against illegal whaling. SAM EDMONDS: Photographically I’m really inspired by Aaron Huey and Danny Wilcox Frazier. SAM EDMONDS: I think when you are starting out it is really important to focus on issues or ideas that are important to you. It is very easy to become mixed up in producing work that others would like to see or that you think will be successful but your best work will always come from a genuine vested interest. SAM EDMONDS: At www.samedmonds.com there is a brief synopsis of my work as well as a print order form. The above image is courtesy of Sam Edmonds. Recently, I had the great pleasure of interviewing Marta Roca, founder and Editor of Four&Sons, and online and print publication. Marta possesses a graphic design background and a passion for dogs. 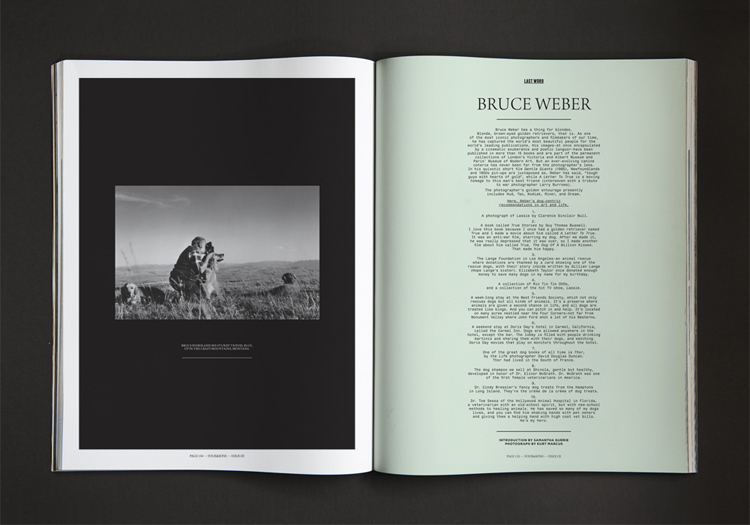 Four&Sons is based in Australia and this print and online publication documents the relationship of man and his best friend. 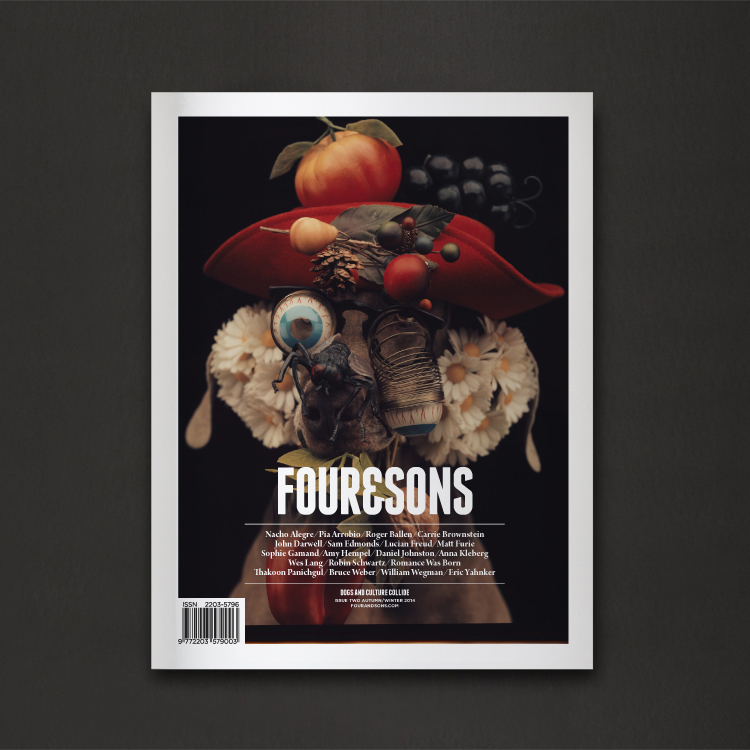 Four&Sons covers art, design, fashion, music, and lifestyle. 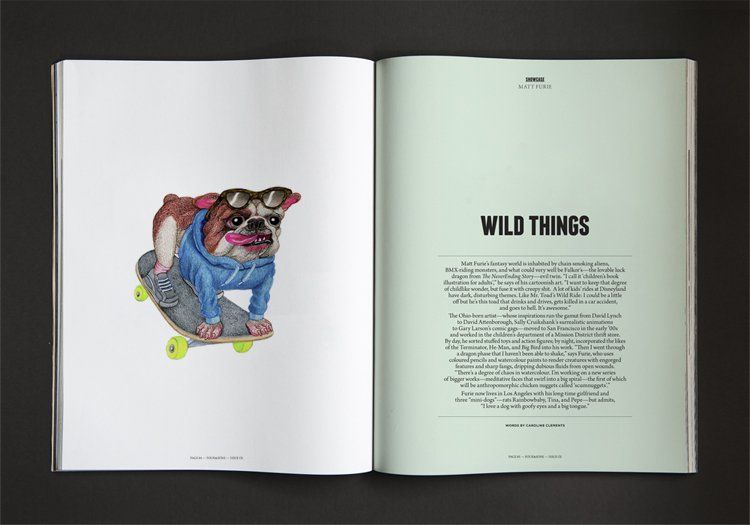 Four&Sons brings together an eclectic mix of inspiring ‘dog-centric’ content to dog-lovers passionate about culture and creativity. KATHERINE CARVER: What were your beginnings as a graphic designer and when did you realize it would become your chosen path and form of expression? MARTA ROCA: I was lucky to meet a very inspiring teacher during high school. Although she was a painter, she was our ‘Graphic Design’ lecturer and she was great at bringing the best out of us, while honing our different skills. I have no ‘artistic’ talent (I can’t even draw! ); however, I love the creative side of design, the fusion between form and function, and the beauty of good thinking. Once I started University, I realized editorial design was my real passion. 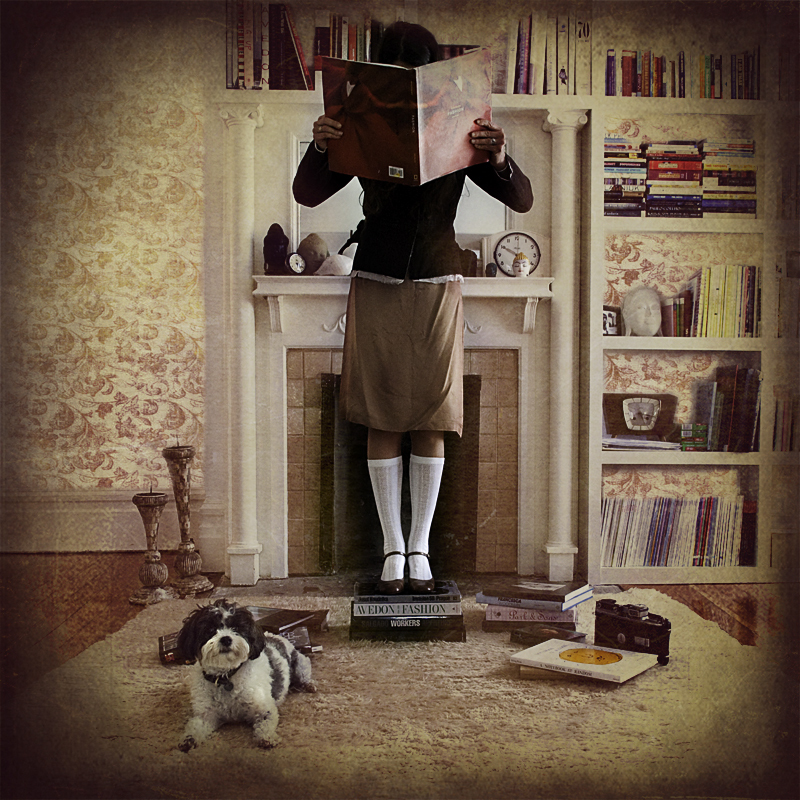 Some people start designing album covers because of their love of music. I love reading, and I love books and magazines for their culture value and also as objects. That was the start. I cut my teeth working in great studios in London and Melbourne before setting up my own studio. It’s a tough gig to get projects in editorial, so ended up founding Four Publishing to work on self-generated ‘love’ projects. KATHERINE CARVER: How did your fascination with dogs come about? MARTA ROCA: A happy accident! Christina Teresinski from accessories brand Best in Park and I have been meaning to collaborate on a project combining all our passions: dogs, art, culture, and magazines. We started to wonder how we could bring it all together from a ‘dog-centric point of view.’ We then started to dig deeper on the ‘creative’ relationship between humans and dogs. The lightbulb moment came when we started to examine dogs as the ‘muse,’ as the inspiration. KATHERINE CARVER: What impetus inspired you to begin Four&Sons? MARTA ROCA: I got totally hooked on the somehow kooky, weird, and wonderful bond between humans and dogs — how it inspires people to create and how it breaks down barriers. The deeper I went, the harder I fell in love with it. 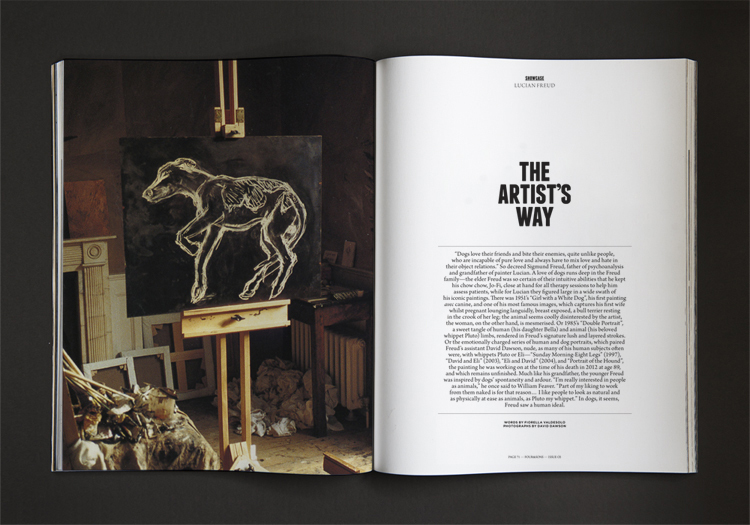 We set out to discover more about the role of ‘dogs as muses,’ about the art and design behind it, and about the social/cultural aspects of it. And what we found was too good not to share it! KATHERINE CARVER: How has your own dog(s) influenced you? KATHERINE CARVER: What is your favorite breed (and type) of dog? KATHERINE CARVER: How and when did you decide to move to a print version publication for Four&Sons, while maintaining an online readership? MARTA ROCA: In 2013, we published a newspaper. It was a limited-edition ‘souvenir’ to celebrate our first year anniversary as online publication, and to say thank you to everyone who had supported us. We had always intended to move to print, and the response was so positive, we felt we were on the right path. 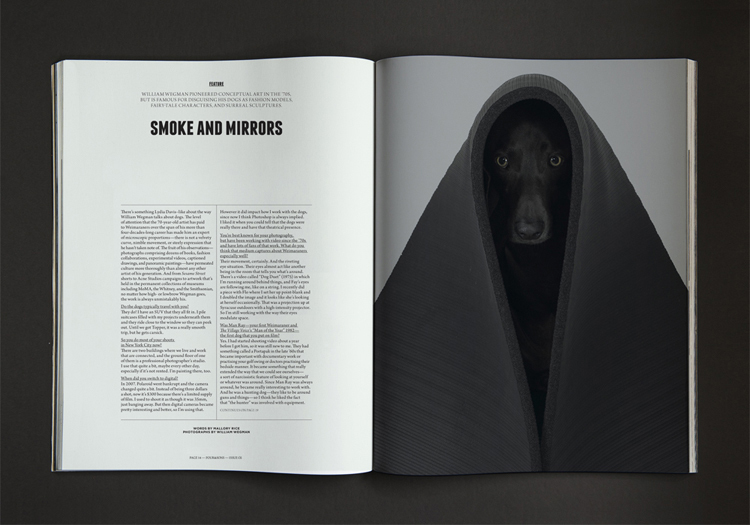 People noticed us and understood better what we are trying to do — we featured beautiful work by artists inspired by their relationship with dogs, and our ‘dog as muse’ motto started to sink in. It would have been a shame not to publish on paper regularly. The content is really visual (almost tactile) — you just want to reach out and touch those mutts! We feel our content deserved to be on a medium that becomes an object, a gift, and a collector’s item. KATHERINE CARVER: How did you bring your vision of a Four&Sons printed publication to fruition? MARTA ROCA: The first thing we realized is we needed a more ‘specialized’ team, so to speak. We appointed our editor, Sam Gurrie. Sam is mad about dogs, loves art and culture, and it shows. Together we fleshed out the content –which sections we wanted to cover, how to get the right mix of features, who we wanted to approach (writers, photographers, and artists), and we set up to chase it all. It is very important to us that the content would appeal to someone who is not necessarily a ‘dog person;’ and it would still be interesting and culturally relevant. We have been really lucky that people understands the magazine is still a labour of love and people have been really generous with their time, and also trusting us with their work. The biggest learning curve has been on the publishing/marketing/ business side — understanding how magazine distribution works (we have three different distribution houses covering different markets — Europe/UK, USA/Canada, and Australia/NZ. We are still trying to crack Japan). Additionally, we are learning to make decisions both from the heart and the head (well, still working on this one); how to position of the magazine (we are not a pet magazine! 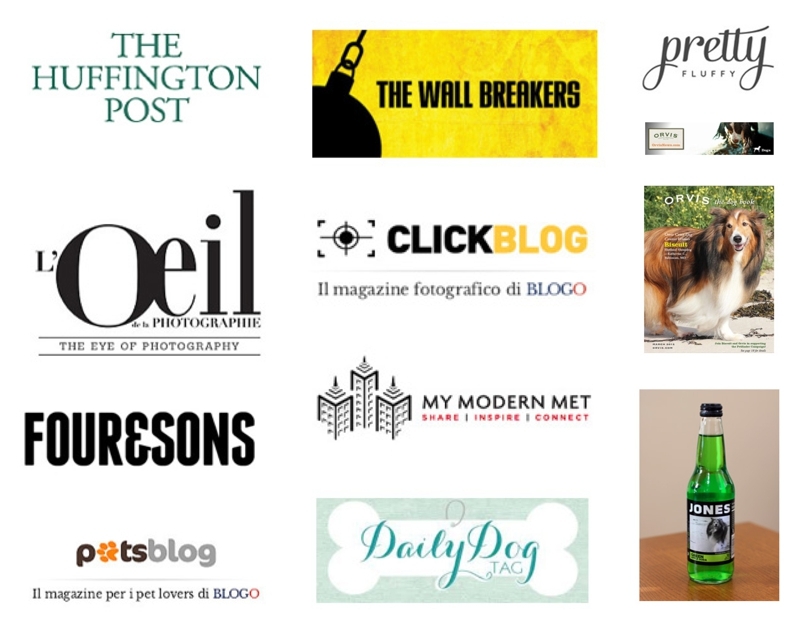 ); which partners we want to associate with; and how to engage the support of dog-lovers around the world. We are fortunate we have a readership which is really passionate about the subject matter. The stockist list for the United States for Four&Sons is: Alder&Co; B_Space; Bookmarc by Marc Jacobs; Casa Magazines; Hennessey + Ingalls; McNally Jackson, MoMA PS1; Mulberry Iconic; Portland Trading Co; Print Text; Shinola; Skylight Books; Space Ninety 8; Spoonbill & Sugartown; and The Primary Essentials. KATHERINE CARVER: How often will you create print editions for Four&Sons? MARTA ROCA: Twice a year. Issue Two, available for purchase now, features: Nacho Alegre; Pia Arrobio; AtelierAce; Roger Ballen; Carrie Brownstein; John Darwell; Sam Edmonds; Lucian Freud; Matt Furie; Sophie Gamand; Amy Hempel; Daniel Johnston; Anna Kleberg; Thakoon Panichgul; Robin Schwartz; Romance Was Born; Ware of the Dog; Bruce Weber; William Wegman; and Eric Yahnker. KATHERINE CARVER: What is the most challenging aspect of being designer? MARTA ROCA: Editing yourself down! Keeping things simple and fresh. It’s tempting to over-elaborate but restrain has always worked best for me. MARTA ROCA: It’s a bit like daydreaming meanwhile you are at work! MARTA ROCA: To the risk of sounding like the biggest cliché, I just love what I do. I get to work on something I believe in, which is fun and challenging. We get to meet very interesting people, have great conversations, and chat about what they love. KATHERINE CARVER: What are the most rewarding and satisfying parts about creating your work? MARTA ROCA: Learning is a pretty fulfilling part of what I do, which feeds my curiosity; being involved in many aspects of the magazine; and feeling personally invested. From an ‘ego-boasting’ point of view, it’s great when people tells us that they enjoy what we do. That keeps us going too. KATHERINE CARVER: What artists inspire you? MARTA ROCA: Artists who don’t take themselves too seriously! Being quite a dry person, I love seeing humour, even recklessness, in art. 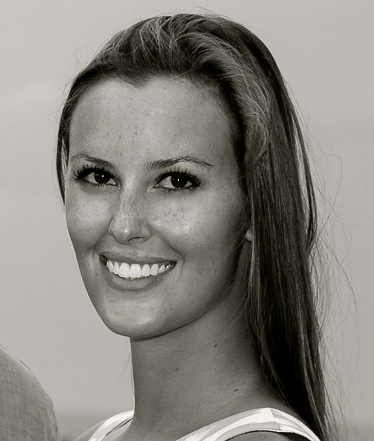 KATHERINE CARVER: What advice do you have for someone who wants to start a print publication? MARTA ROCA: Do it! Enjoy the process, not just the end goal. Don’t be afraid to ask questions and make some mistakes. Take into account all facets from the start — from the content to the design and print and distribution and the business. Be patient and respectful and you will be amazed how generous people can be trying to help you. KATHERINE CARVER: What is next for Four&Sons? MARTA ROCA: Hopefully we can become a quarterly publication in the near future. We are in for the long run, so longevity is key for us. We are also starting to focus on other ‘off-shoot’ projects: events; exhibitions; collaborations; product; other publications; and a pop-up store perhaps…? We would love to become the ‘one-stop-shop’ for any dog-lover passionate about culture and creativity. KATHERINE CARVER: How can people learn more about you and Four&Sons? 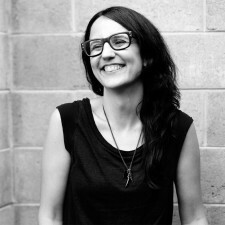 MARTA ROCA: Via the magazine and the website — there you will obtain a glimpse of what makes us tick. 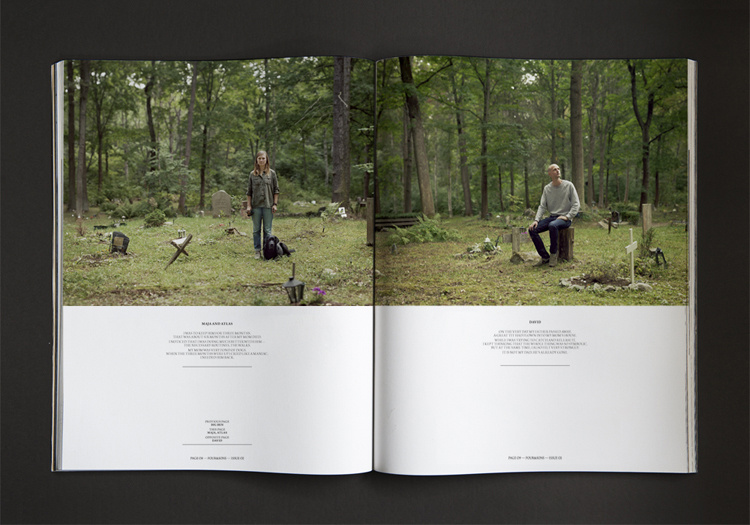 All images contained in this interview are courtesy of Marta Roca, Four & Sons. Recently, I had the great pleasure of interviewing Robin Schwartz, a photographer and animal lover who resides in New Jersey with her husband, daughter, and animals. 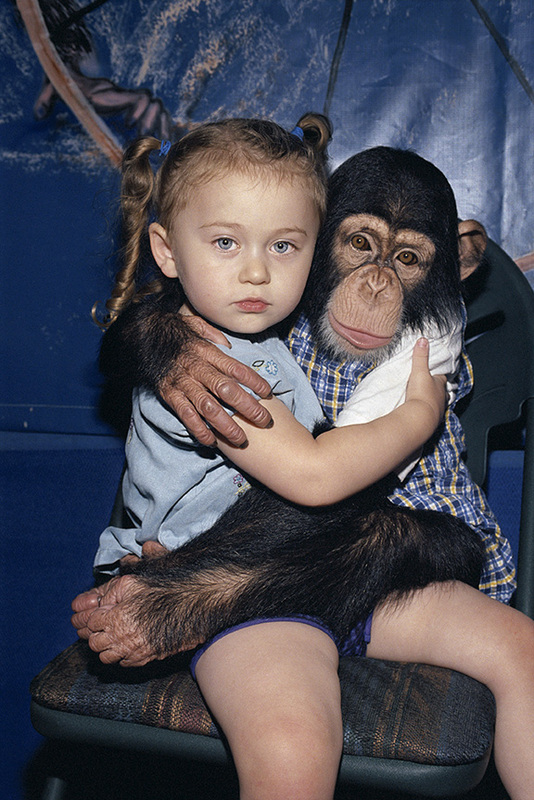 Much of Schwartz’s work examines and explores interspecies relationships. Schwartz’s work has been exhibited internationally; her work is in museum collections at The Metropolitan Museum of Art; The Museum of Modern Art; The Smithsonian American Art Museum; and The San Francisco Museum of Modern Art . 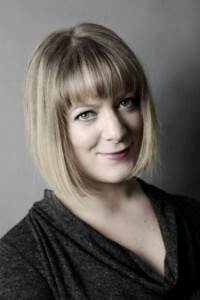 Schwartz has also published several books including her most recent book, Amelia and the Animals, published by Aperture. I truly enjoy Schwartz’s work, and I am sure that you will too! ROBIN SCHWARTZ: I loved photographing with an instamatic camera. At ten-years-old, I used this camera to photograph my cat. I was a latch key kid and was home by myself a lot. I only was able to major in art after my father died when I was 19-years-old. It would not have been acceptable in my economic situation to be an art major in college. A graduate teacher at the Pratt Institute, Arthur Freed, made it possible for me to not only get into the program, but helped me obtain a graduate assistantship and a Ford Foundation Grant. I don’t know what would have become of me if not for this teacher. I was on my own and quite lost. ROBIN SCHWARTZ: Yes. As an undergraduate, I studied at William Paterson College, which is now a university, William Paterson University, where I am an Associate Professor in Photography. I earned an MFA in Photography at the Pratt Institute, New York. ROBIN SCHWARTZ: I actually don’t use the word “style.” I am a portrait photographer; if you categorized me it would be fine art and editorial photographer, specializing in portraiture, animals, and environmental portraiture. ROBIN SCHWARTZ: I photograph because I want to remember. I have been around a lot of death, early on in life. 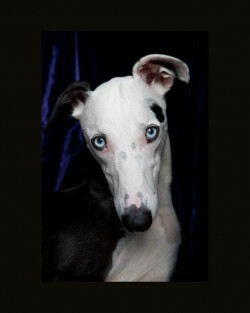 KATHERINE CARVER: What was the impetus that inspired you to begin photographing dogs and animals? ROBIN SCHWARTZ: I love and am very comfortable with them [animals]. They comfort me, and as I mentioned before, I was home alone a lot as a kid. When I was ten-years-old , the deal was that I could have a cat that lived in the house to keep me company, (as opposed to my cats who lived outside and were not allowed in the house, those cats got run over, killed in construction), and then my mother could go to work full time, including the summers. Before that cat, which went with me to college and graduate school, he died when I was 27, we adopted a beautiful Shetland Sheepdog from the pound/shelter in Newark, New Jersey, after we saw this beautiful Shetland Sheepdog being given up as we came into the pound/shelter. The pound asked the people who were giving him up whether he was up to date on shots, they said he was – and he wasn’t. Three weeks later, we had to put him down because of the distemper he caught while at the shelter. Those seizures where quite horrible, and the vet said he was never vaccinated. It was a crime that haunts me today. 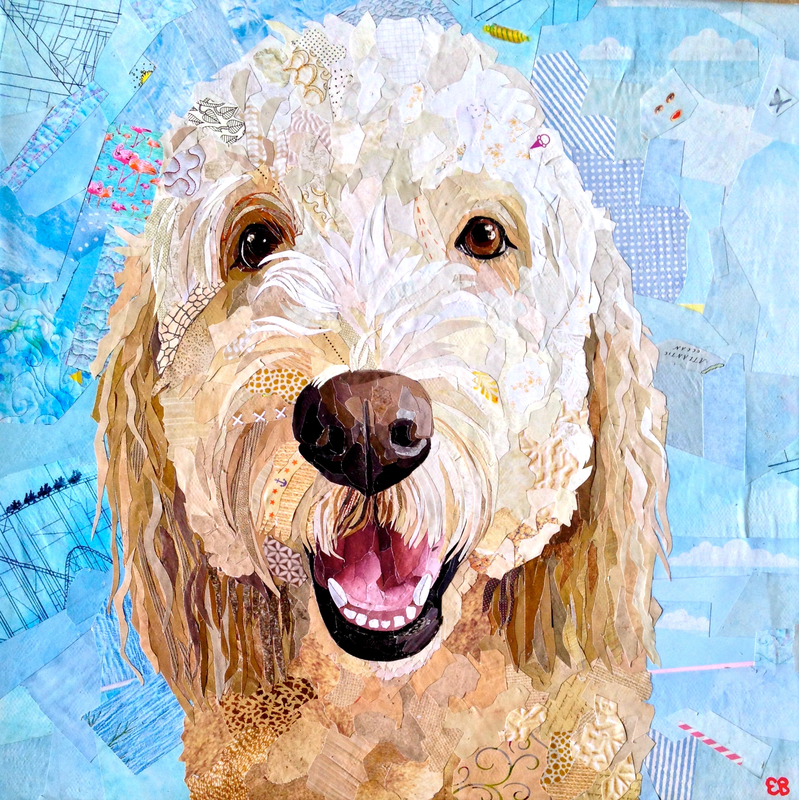 KATHERINE CARVER: How have your own dogs/animals influenced your artwork? ROBIN SCHWARTZ: Absolutely, my animals at home are in much of my work; to remember them; and keep them young. KATHERINE CARVER: Where did the idea come from for your work and book entitled, Amelia & the Animals? ROBIN SCHWARTZ: The title came from my editor at Aperture, Lesley Martin. I guess it is an apt description. 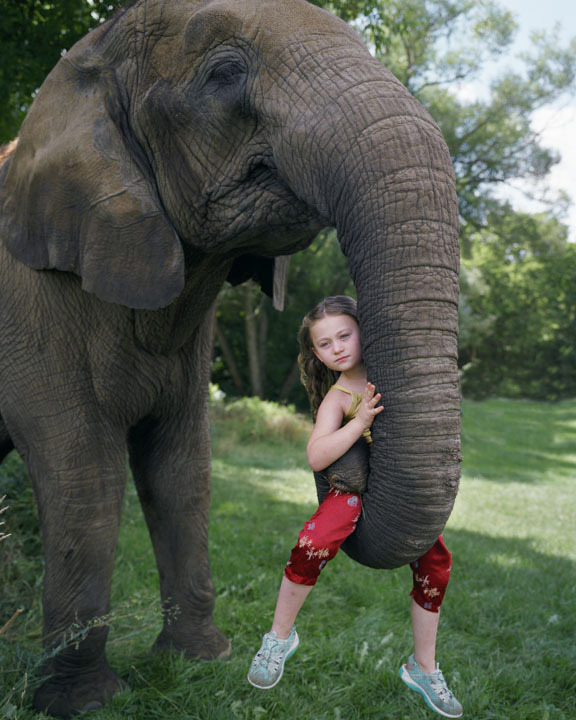 KATHERINE CARVER: What has it been like collaborating with your daughter, Amelia, on photo projects with animals? ROBIN SCHWARTZ: The project and our collaboration has grown as Amelia matures. Our balance has changed as in any growing relationship. Amelia is my partner. KATHERINE CARVER: Can you describe your successful Kickstarter process for your new book entitled, Amelia & the Animals, published by Aperture? ROBIN SCHWARTZ: Aperture did everything relating to the Kickstarter process – Aperture is a wonderfully supportive publisher, the fact that they are historic and not-for-profit makes them extraordinary. I am so honored to be published by Aperture and have had Lesley Martin and the team, Kellie McLaughlin, Barbara Escobar, and Jason Bailey supporting and rooting for me. The Kickstarter and the Amelia and the Animals book are what they are because of Aperture. Aperture is like family. (You can view the Kickstarter video here). 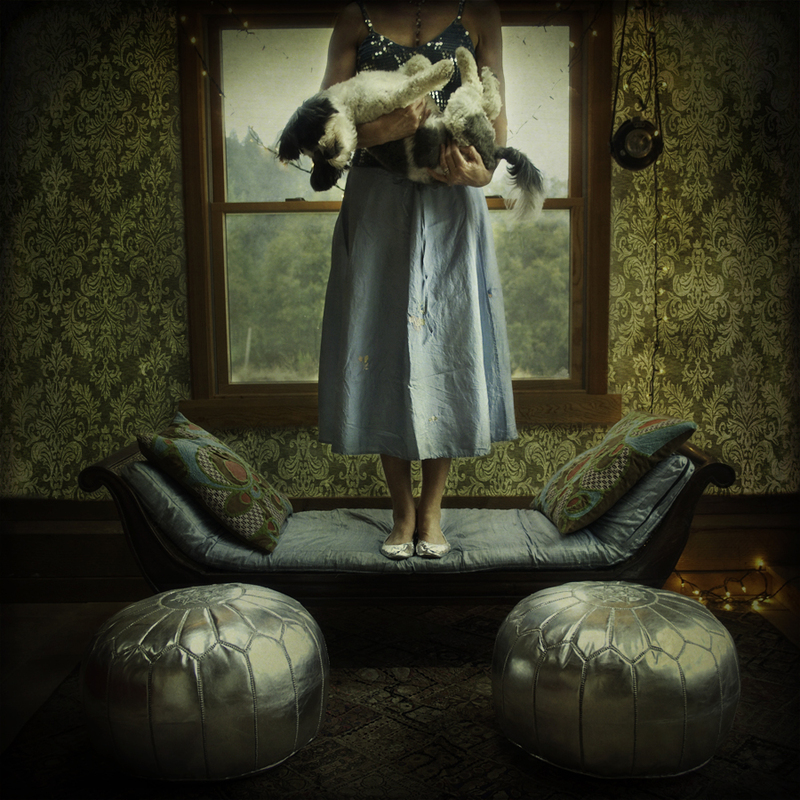 ROBIN SCHWARTZ: Right now Aperture is representing me, specifically Kellie McLaughlin, she is wonderfully supportive. I had left a New York City gallery this past August and asked if Aperture could handle my work. ROBIN SCHWARTZ: Good question, I think I will ask that in the class I teach. Creative means, that after you have a handle on skill, on craftsmanship, and can work and think beyond the basics — that to be creative you figure out what is unique to you or simply, what makes you happy, what is authentic for you. I think if you find your passion, art gives you the reason to immerse yourself in what you love. ROBIN SCHWARTZ: The most challenging aspect of being a photographer is having confidence on several levels, personal, skill, social skills, managing your time, and a deal breaker can be the finances of it all. I am finally a full time, tenured professor. Only when I achieved full time status did I qualifying for health insurance at work. This greatly helped me financially, supporting my personal work. ROBIN SCHWARTZ: Another good question. I teach for a living, and I aim to be a good, generous, kind teacher, but I want to be remembered as a photographer. A curator who was a mentor to me early on, who has since passed away, said to me once, “You came a long way for what you do.” At the time she meant the Primate Portraits, having the Like Us: Primate Portraits book published by Norton and my work in the museums like the Met and the MOMA both located in New York City. So at 19-years-old I was on my own, and not far from homeless, and it was a scary time. During and after graduate school, I hung out with and photographed stray dog packs; I now see that I identified with being a stray myself. So my motivation in life is: my daughter as she is my family; my animals as I need them emotionally; and photography as that is a huge part of my purpose, very stimulating and exciting, and my identity. Being a photographer means I accomplished something. ROBIN SCHWARTZ: I procrastinate enormously; I clean the house instead of editing my own work. I like to edit on Adobe Bridge. When I worked in the darkroom I had a television with a red filter…but I work all digitally now and the television is distracting. I multi-task a great deal and I juggle responsibilities and work hard to met my many deadlines. ROBIN SCHWARTZ: Well, I just quickly wrote the answers for another interview before this one, but your questions are much deeper, interesting to answer – I am learning about interviewing these days by how differently each person approaches it. I am working on how to work. I am finishing a sabbatical proposal with supporting materials, updating my resume and website – editing comes last. I am updating the keynote presentation I gave at SVA (School of Visual Arts, New York City on October 7, which you can view here.) Now, I have to re-edit it for the talk in San Francisco at the Photo Alliance held on November 7. Then, I go to Paris Photo with Aperture for an Amelia and the Animals book signing. On December 1, I give my keynote for a presentation and exhibition at Aperture. Finally, I am having prints made. The list goes on and on. I will resume shooting in December, when I travel back to Mexico to follow up on a new project. I am also a full time professor in photography at William Paterson University where I am an Associate Professor in Photography and on those days, that is all I do — teach and commute. ROBIN SCHWARTZ: It changes, historically, Juliette Margaret Cameron, Eugene Atget, August Sanders, Eugene Smith, and Sally Mann – well Sally Mann is contemporary and historic…There are so many photographers and many contemporary photographers in photojournalism, fine art, documentary that inspires me – it is impossible to mention them all. ROBIN SCHWARTZ: Have a good work ethic; be able to take criticism; don’t be embarrassed as I was of what you love; practice social and writing skills; and, above all else, be persistent about working. KATHERINE CARVER: How can people view and purchase your art works and books? ROBIN SCHWARTZ: www.RobinSchwartz.net (I am currently updating!) and Aperture. Only the Amelia and the Animals is in print, the other three books are out of print: Like Us: Primate Portraits; Dog Watching; and Amelia’s World. All images contained in this interview are courtesy of Robin Schwartz and Aperture. Recently, I had the great pleasure of interviewing Martin Usborne, a photographer and animal lover who resides in London with his wife and dogs. One of Martin’s interests includes man’s relationship to animals. Martin has been regularly featured in international magazines and his work has been seen in group and solo exhibitions around the world, along with publishing several books. Last year I interviewed Martin about his important project, A Year to Help. I truly enjoy Martin’s work, and I am sure that you will too! MARTIN USBORNE: I started photographing professionally in my thirty’s but I had been taking photos for many years prior. I was working in children’s television when I got made redundant and so I went traveling for six months. I took a canon 10D and a laptop and loved taking pictures so much that I started out as a portrait photographer. I think, however, it was seeing the work of Bill Brandt that persuaded me to go professional. MARTIN USBORNE: I went to Glasgow School of Art but studied 3D animation. I was meant to get a job working on the first Ice Age movie but there were visa problems! I ended up working in children’s television. MARTIN USBORNE: Fairly psychologically intense but hopefully laced with humour every now and then. 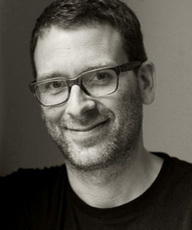 MARTIN USBORNE: I think I realised in my late twenties I had to be creative. I don’t think it has to be photographs. If the camera didn’t exist, there would be other ways to find expression! 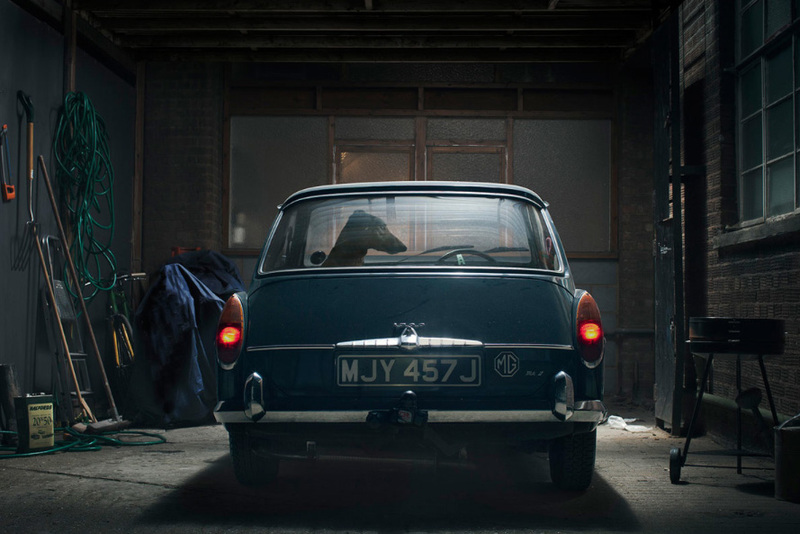 MARTIN USBORNE: I’ve loved dogs since I was a kid. Adored them. I have two now and always will have dogs. I’m also interested in the way we treat animals so dogs were an obvious way in. 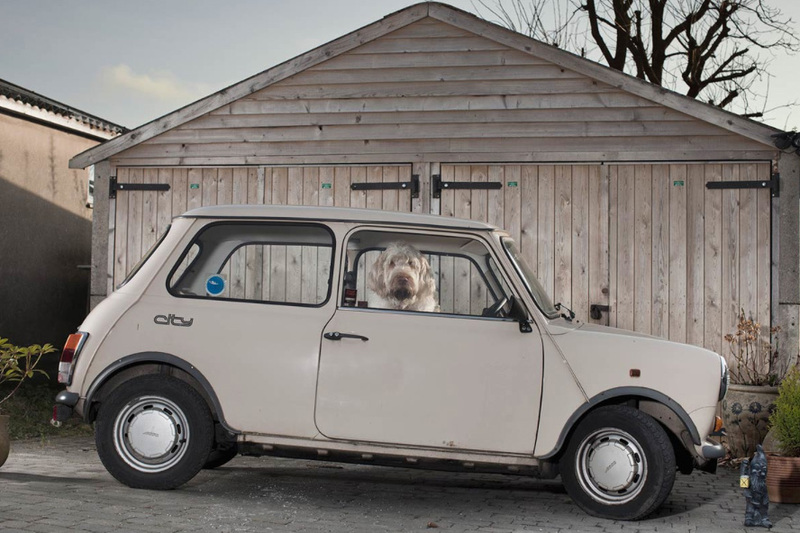 MARTIN USBORNE: I made a book about my dog Moose (My Name is Moose), which was my first ever photo book. But other than that these images are kind of too cute to feature in my work, which tends to be a bit more serious. 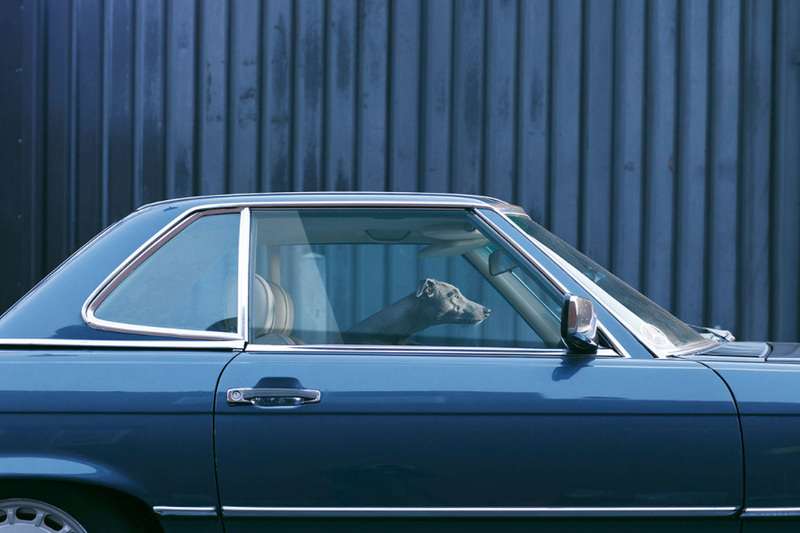 KATHERINE CARVER: Where did the idea come from for your work entitled, “Dogs in cars”? 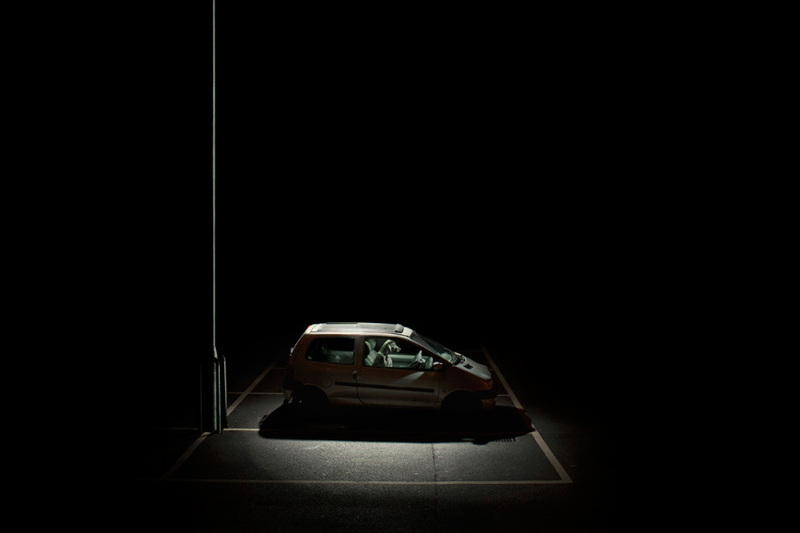 MARTIN USBORNE: I was once left in a car at a young age. I don’t know when or where or for how long, possibly at the age of four, perhaps outside a supermarket, probably for fifteen minutes only. The details don’t matter. The point is that I wondered if anyone would come back. The fear I felt was strong: in a child’s mind it is possible to be alone forever. Around the same age I began to feel a deep affinity with animals – in particular their plight at the hands of humans. I saw a TV documentary that included footage of a dog being put in a plastic bag and being kicked. What appalled me most was that the dog could not speak back. I should say that I was a well-loved child and never abandoned and yet it is clear that both these experiences arose from the same place deep inside me: a fear of being alone and unheard. When I started this project I knew the photos would be dark. In a sense, I was attempting to go back inside my car, to re-experience what I couldn’t bear as a child. What I didn’t expect was to see so many subtle reactions by the dogs: some sad, some expectant, some angry, some dejected. It was as if upon opening up a box of grey-coloured pencils I was surprised to see so many shades inside. There is life in the darkest places inside us. KATHERINE CARVER: Where did the idea come from for your work entitled, “Nice to meet you”? MARTIN USBORNE: I remember meeting a stranger on a sunny day whilst I was suffering from depression. ‘Nice to meet you, how are you?’, said the stranger. What happens to those raw, painful parts of ourselves we hide away? The anger, confusion, uncertainty, hope? And what strategies do we use to hide these parts of ourselves? Politeness, arrogance, speed, disinterest? 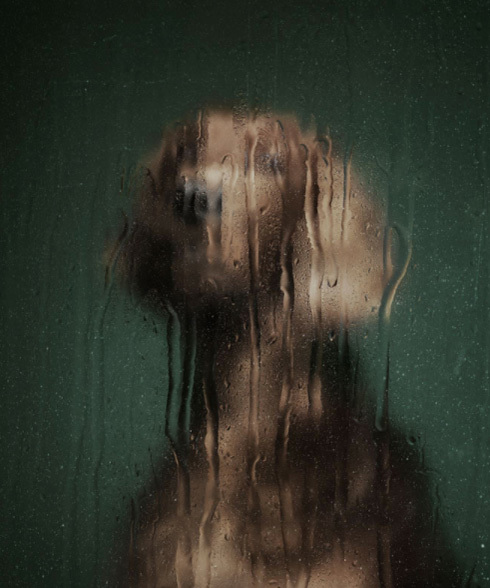 Each image in this series is a portrait of a dog photographed through a material or substance: a wet pane of glass, faint smoke, dense material, bleeding light. Nearly all of the dogs are abandoned, untrained, often aggressive. One is a wolf. (Every dog was carefully handled and protected in the process). The images are titled with everyday phrases that so often hide subtexts. As with the previous series, The Silence of Dogs in Cars, canines are used here to reflect that unspoken, instinctive side of our nature. In my own experience it is dogs – along with some other animals – that have the ability to communicate certain feelings most directly even though they have no words. But the series is also about the voicelessness of animals, about their hidden pains and silent needs that to many people are not so apparent. 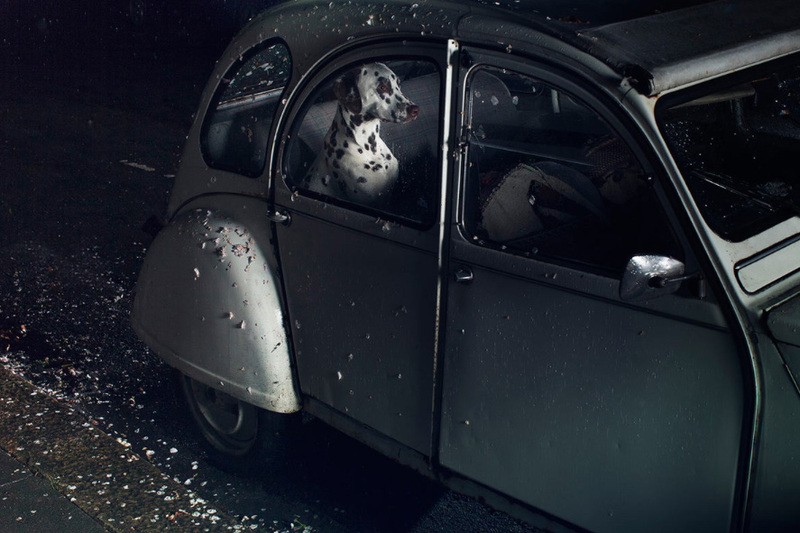 MARTIN USBORNE: I’ve show in London, LA, NY, Sao Paolo, and Paris. A lot of my work ends up in magazines too. MARTIN USBORNE: It means expressing yourself in the most natural and elegant way possible. Not always easy but rewarding. It’s a bit like breathing very deeply. You breathe in the world, taking in ideas, experience and inspiration, and then you breathe out those same ideas, experiences and inspiration but they are fused with something of your deeper core. You can only hope you don’t have smelly breath. MARTIN USBORNE: Making the money while doing your own work. 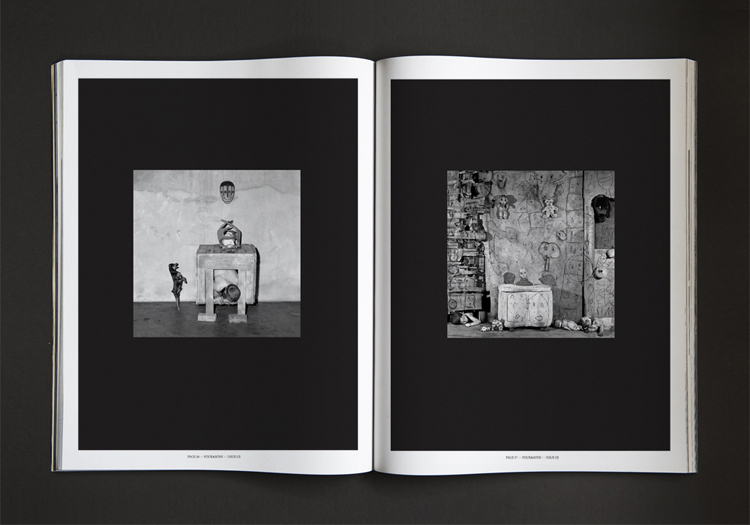 MARTIN USBORNE: Seeing books and exhibitions of my work finished! MARTIN USBORNE: Being true to yourself. MARTIN USBORNE: Actually just doing it. If you wait for inspiration it doesn’t come. 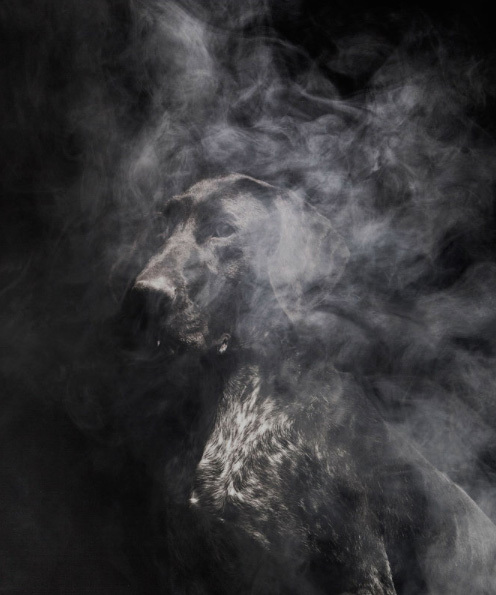 MARTIN USBORNE: A book about Spanish Hunting dogs…More to be announced soon. 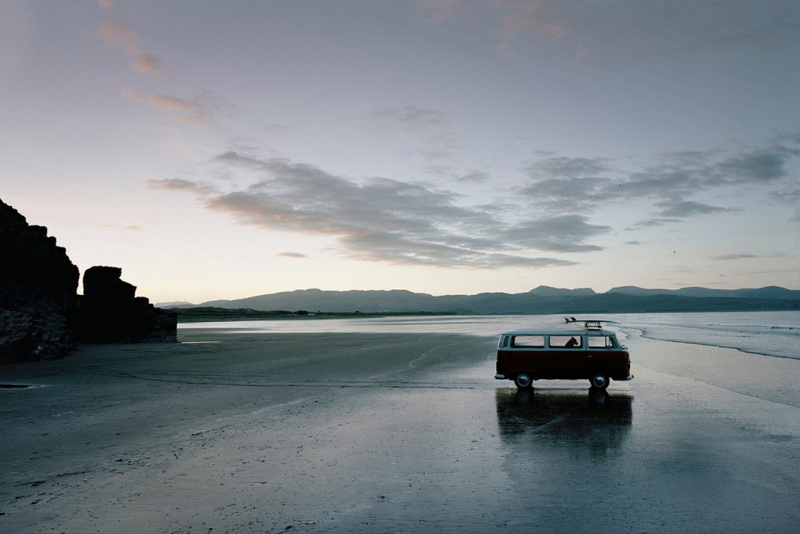 MARTIN USBORNE: Bill Brandt, Todd Hido, and Edward Hopper. MARTIN USBORNE: It’s hard work but, if you have to do it, very rewarding. Go for it. But be prepared to be your own engine. You don’t have anyone else pushing you and you have to often deal with self-doubt. MARTIN USBORNE: Look at my website, www.martinusborne.com, and get in contact! 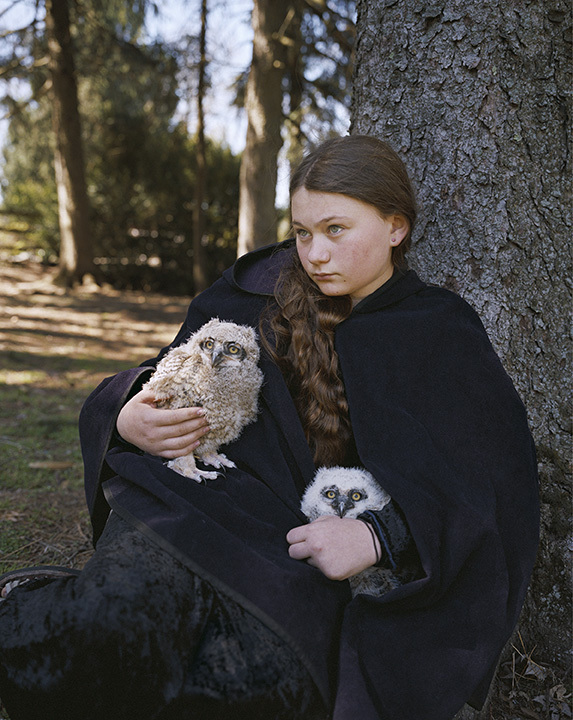 All images contained in this blog post are courtesy of Martin Usborne. Recently, I had the great pleasure of interviewing Sophie Gamand, photographer. 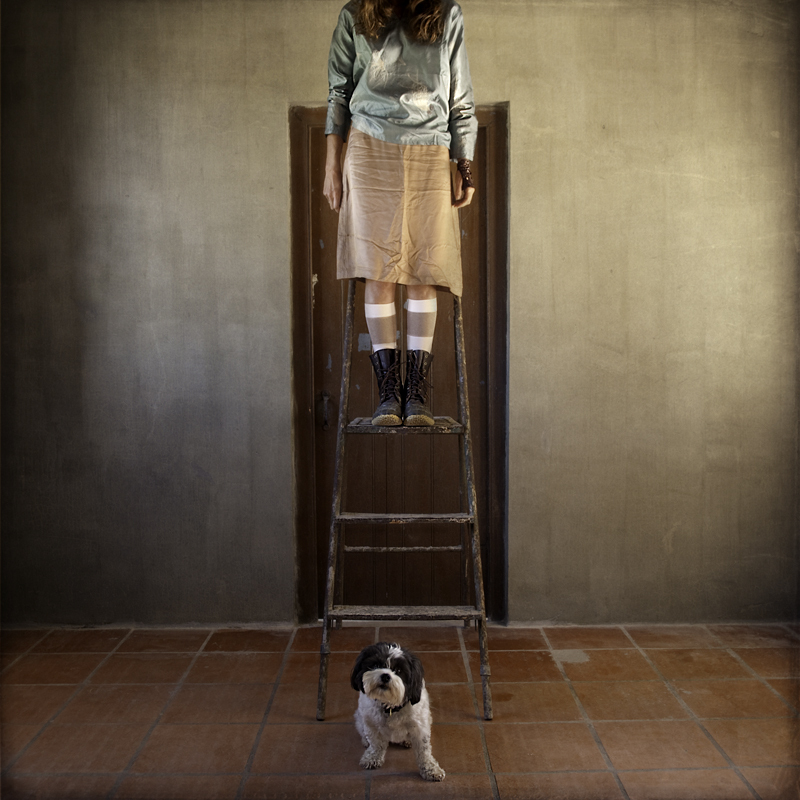 Sophie is originally from France and she now resides in New York City, where she photographs dogs as the subject of her work. 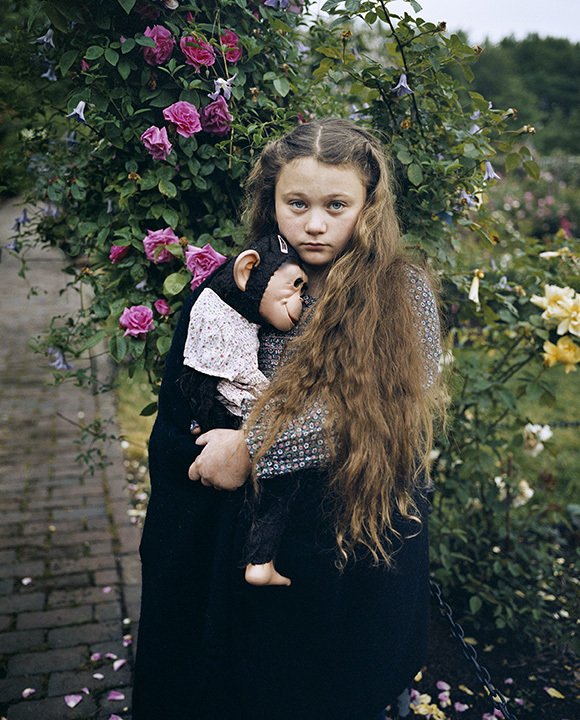 SOPHIE GAMAND: I think I demanded my first camera to my parents when I was ten years old. During high school, I worked with an analog camera I had taken from my Dad and developed my own black and white photos. At that point, photography was just an art medium amongst others for me. I integrated photos into paintings, montages, etc. Then I stopped while studying Law. In 2007, I discovered the world of digital cameras and I bought a simple DSLR and started photographing again. It was very liberating! I did a lot of self-portraiture, with heavy Photoshop work. It was easier than painting and I could achieve the results I wanted more quickly. Since then, the presence of photography has grown in my life, especially after I moved to New York in 2010, when it became my main activity. I even met my husband through photography! KATHERINE CARVER: Did you study photography formally? SOPHIE GAMAND: No, I did not study photography. Since 2010, I have taken a couple of classes here and there, just to tie up loose ends. For example I took a studio lightning class in 2011 and that completely changed the way I photograph. I also took a class about carrying long-term projects and it was very inspiring. I don’t believe in studying the arts extensively, but I believe taking a class every once in a while is a great way to push your boundaries, and meet fellow artists. KATHERINE CARVER: Can you describe the time when you first realized that photographing was absolutely something that you had to do? SOPHIE GAMAND: As a child, I was obsessed with it. I am not sure why. I loved taking portraits, especially close-ups. I wanted to be sucked in the faces I photographed. I think I was a lonely child and seeking more love and tenderness in my life. Photographing faces was like hugging those people, being very close to them. I loved photographing animals too, because there was no expectation from them. And also, I did not have to talk to them. SOPHIE GAMAND: In 2010, having moved to NYC, I wanted to reinvent my photography. I was used to taking self-portraits, in the intimacy of my studio. I was very scared to take my camera outside and photograph strangers, so I signed up for a documentary class. The first assignment was to go in my neighborhood and photograph a stranger. It was very scary. As I wandered in my new neighborhood, I saw a vet clinic and it looked so safe and inviting, I decided to hide in it! I thought I could photograph someone there. And as I was sitting in the waiting room, I saw a dog peeking from behind a wall (shown below). He looked completely worried and out-of-place. I snapped a portrait and it fueled everything! I became obsessed with the idea of urban dogs and the place they occupy in New York, and with all the things we do with and to dogs here. 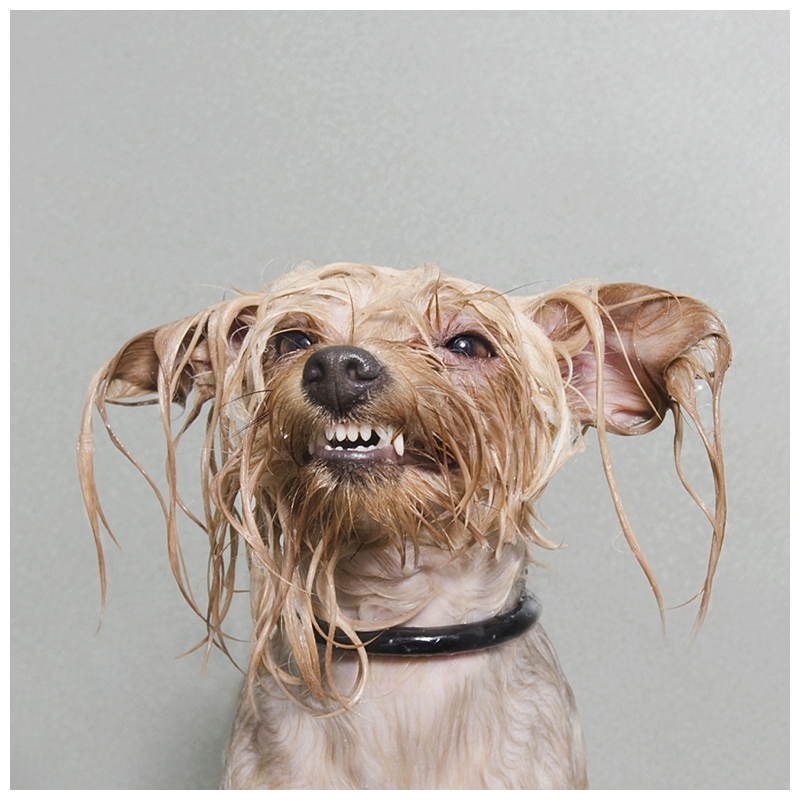 KATHERINE CARVER: What was the impetus that inspired you to begin photographing wet dogs in your work entitled, Wet Dog? SOPHIE GAMAND: For one of my projects I wanted to photograph the grooming process, and how we alter the way our dogs look. It is a project I called “Metamorphosis”. 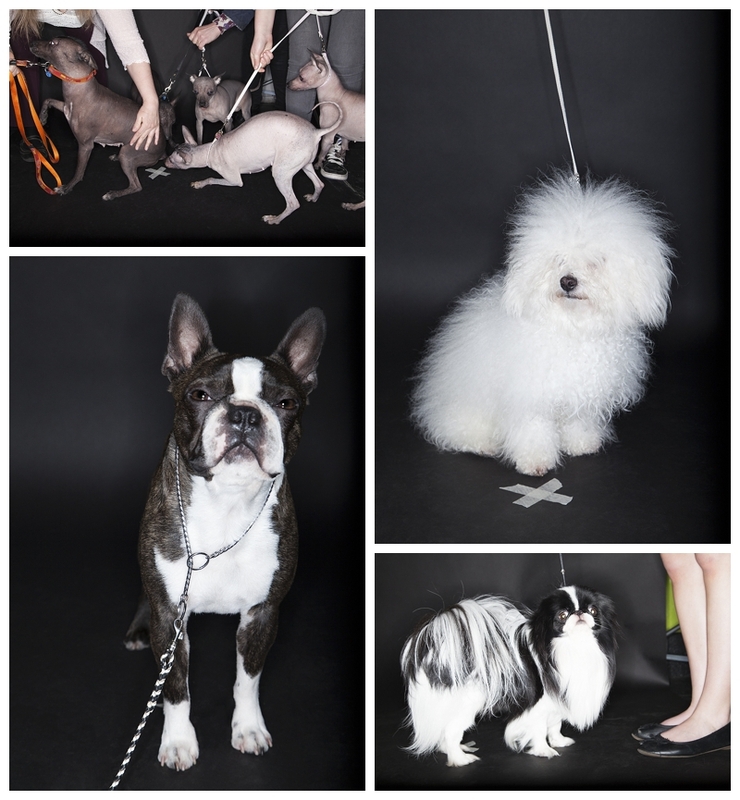 I met with a groomer who let me set a studio in his grooming parlor and I photographed his work. During the process, he started bathing the dogs. I loved the way the water played with the fur, the dogs looked dramatically different! And then I noticed their irresistible expressions, and I knew I had something unique and fun. I want to show the humanity there is in dogs. Photography is a great tool for that because it allows me to capture half a second – the moment their expression is the most poignant. Something I would probably not really see with naked eyes. 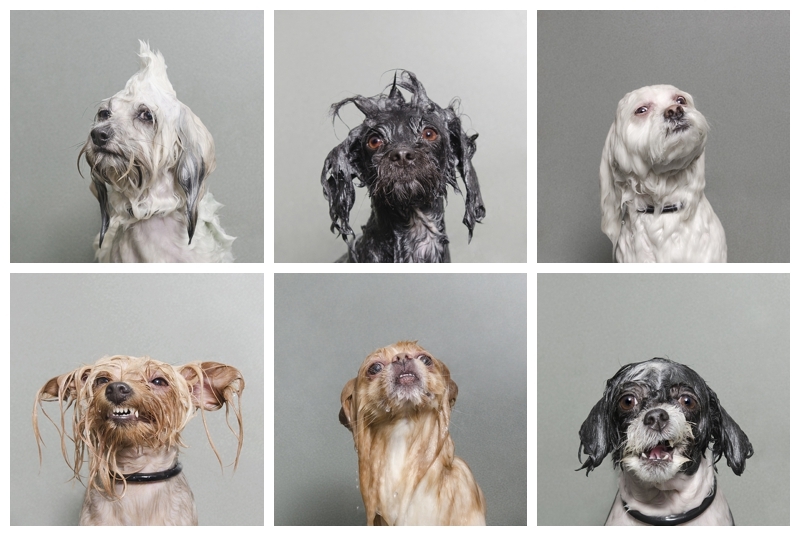 I knew dogs had a wide range of emotions and facial expressions before I started Wet Dog, and I believed those had not been explored fully by contemporary photography. My mission was to photograph dogs as I would photograph humans. That’s why I focus on headshots. I care about the face, the eyes, the soul, what makes dogs human. Wet Dog allows me to magnify those expressions. SOPHIE GAMAND: Mostly online. When living in Europe, as a photographer, I spent a lot of time organizing exhibitions, and trying to be shown in different places. After a while, I lost touch with my own creativity because I was too caught up in marketing and logistics. So now I take it as it comes. I would love to exhibit again at some point, but I want to focus on creating and producing images. I would also love to create a mix media show. 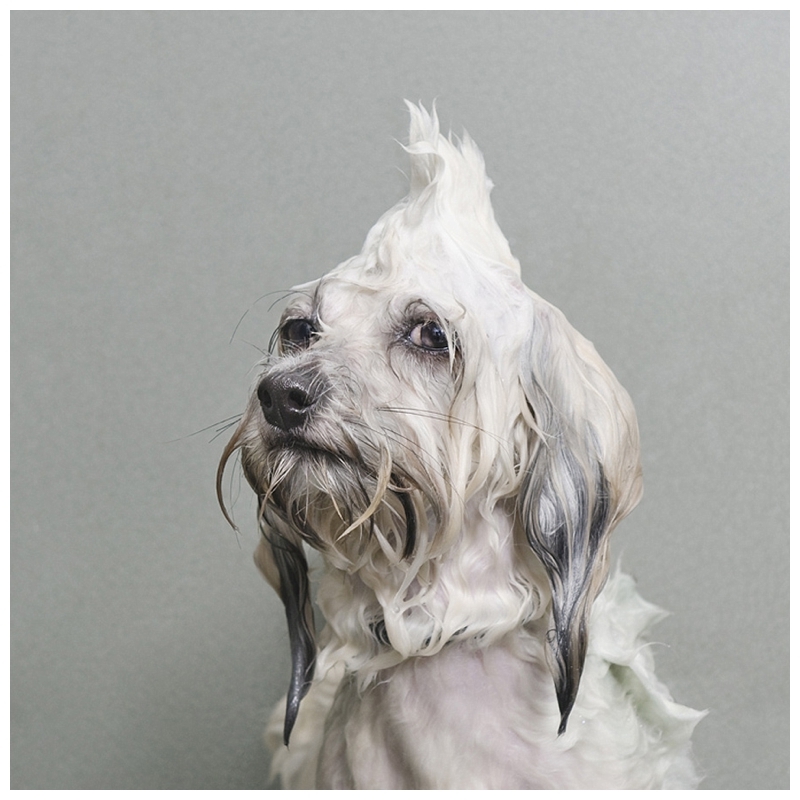 My Wet Dog series won the Sony Awards and I went to London to see the exhibit. As I entered the room, there they were, nine (9) of my wet dogs lined-up on the wall. It was amazing. I had goose bumps and teared-up and giggled. I think I whispered out loud “oh my god they are so cute, my little babies.” I wanted to kiss each and every one of them, and tell them the bath was almost over. Seeing your work exhibited is amazing. The series will be exhibited in Paris in September 2014 as well. SOPHIE GAMAND: It is the blood flow. The ideas and desires are constantly there. I tried to live without the creative life in the past, but it was clear I could not escape it. Creative ideas are all I think about, day and night, until I act on them and make them happen. If I do not act on them, I become depressed and difficult to live with. They work like visions almost. Sometimes they are strong and ready to go, so I just create the images, take the photos, write, and then it’s done. At other times, I am not sure what the idea is exactly, I cannot see the picture in my head yet, and I go crazy. It’s hard to explain, but I guess it is like phantom pain. My soul wants to create that thing that my brain does not visualize yet. There is nothing to be in pain for, but the pain is there and it is real and overwhelming. I know it might sound a little crazy, but I literally feel like I am dying. I used to be lost during those times because it was really painful and confusing, and nobody could help me through them. Then I realized those dark moments were part of my creative process so now I try to embrace the cycle more. I am very lucky to have found a wonderfully supportive husband, also a creative person, who totally understand those cycles and respect my creative process. SOPHIE GAMAND: With my work, photographing dogs, one of the challenging aspects is to not having access to my models all the time. I am very jealous of artists who live with their muse! Sometimes, the idea is ready and I need to photograph it NOW. But I have to wait days, weeks, before my models can come to the studio. It makes the creative process less smooth. Generally speaking, I would say that photographers are faced with a huge challenge nowadays: everyone thinks they are a photographer; and everyone can be one, technically. So how do we define ourselves in the constellation of photographers that surrounds us? Also some people still think photography is not an art per se. Photography can take many shapes: you can be at the service of a client, in which case photography is simply a tool; you can use photos in intricate art pieces; retouch or not; you can document stories, etc… Photography takes so many different shapes that it is difficult to educate the public to what constitutes good contemporary photography. SOPHIE GAMAND: I don’t have a choice! I am obsessed with what I do, and I cannot explain why. I want to become better: a better artist; and a better person. I keep receiving new ideas and desires. I have a list of maybe 20 series I want to photograph involving dogs. I don’t think I’ll have the time or energy to do them all, so I don’t have the luxury to just stop. KATHERINE CARVER: What is the most rewarding and satisfying part about being an artist and creating photographs? SOPHIE GAMAND: When you finally start making a living photographing, you know that you will not have to divide yourself anymore. I want to be whole with my art, and I want to be able to focus on just that: creating more images and projects. I don’t think about my art in terms of rewards or satisfaction. I don’t do it for anybody in particular. I just don’t have a choice. I cannot do anything else with my life, or I would go crazy. SOPHIE GAMAND: I have a long list of projects in a notebook. I try to focus on one or two projects at once, but right now I have about 4-5 series I am working on in parallel – all involving dogs. I have 2 series ready to be released but I don’t seem to ever find the good moment to release them… I am working on my first book – the Wet Dog book – and another big fine-art project that is very demanding. I also work on several projects for animal rescues. SOPHIE GAMAND: I have stopped looking at what other artists do, because it can be very destructive. All my life, I self-doubted myself and my art. So now I feel the need to protect my inner artist from all the amazing stuff that’s out there! If I really had to mention names, it would be William Wegman because he has photographed the same breed of dogs since the 1970s and made a career out of it! It reminded me that freedom can be the death of art. Sometimes, setting ourselves strict limitations is the most inspiring thing. The other artist that blew my mind was Jill Greenberg, for her esthetic and her use of light. I thought, if you can combine Wegman’s creativity with Greenberg’s sleek looks, you are golden! SOPHIE GAMAND: Start doing. Stop thinking, questioning, agonizing, etc. Things only come to those who do. Do what you love and love what you do – that means, follow your gut feelings when creating, but also be proud of every single piece you put out there. Hold your art to the highest standards. SOPHIE GAMAND: In the US, people can purchase Wet Dog prints here, and Dog Vogue prints here. 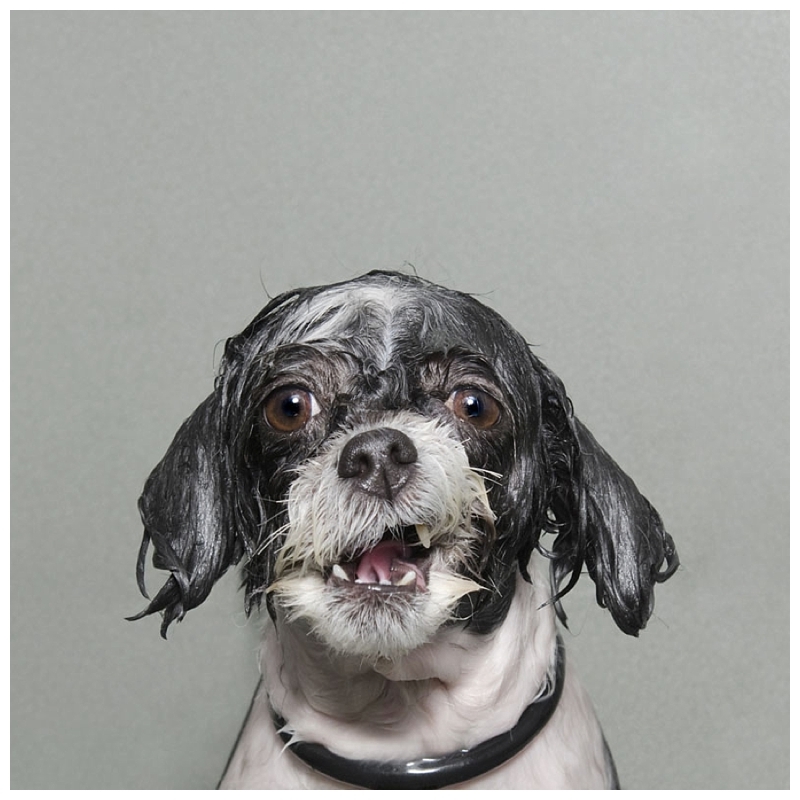 For the rest of the world, wet dog prints are available here, and Dog Vogue prints here. My best work is on www.sophiegamand.com. With my Striking Paws website, I help rescue groups and participate in charitable projects. The photographs included in this blog post are courtesy of Sophie Gamand. 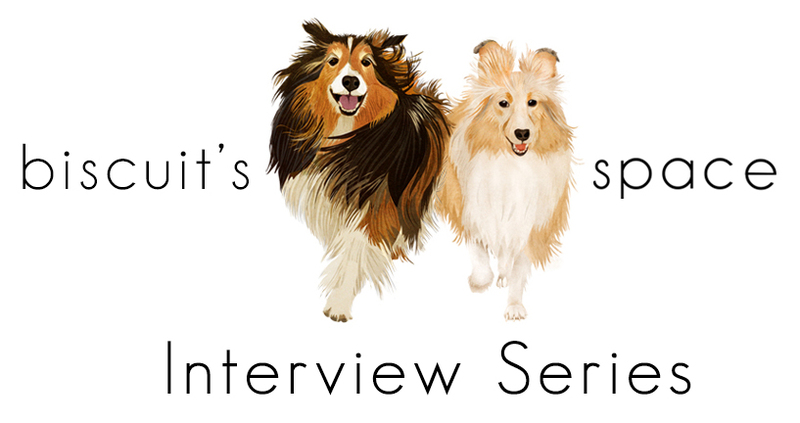 Recently, I had the great pleasure of interviewing Gail Buchwald, Senior Vice President, ASPCA. Gail’s primary responsibilities include animal adoption and running the ASPCA adoption center. Below is a very detailed interview about how the ASPCA helps animals who are part of animal cruelty cases and how the ASPCA promotes animal adoption and rescue! KATHERINE CARVER: What does your work at the ASPCA entail? 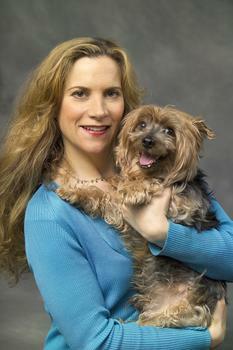 GAIL BUCHWALD: I am the Senior Vice President of the ASPCA Adoptions Center which is located in New York City. I manage the ASPCA’s Adoption Center, which is a 12,000-square-foot, state-of-the-art facility that places approximately 3,000 animals into loving homes each year. I also oversee the Adoption Center’s Behavior & Training Program, Mobile Adoption Center and all of the adoption events we hold throughout the year. KATHERINE CARVER: What is the mission of the ASPCA? GAIL BUCHWALD: The ASPCA’s mission is to fight animal cruelty and end homelessness throughout the United States. Our belief is that animals are entitled to respect and kindness, and we need to be their voice to ensure they receive both. While we’re headquartered in New York City, the ASPCA is a leader in animal welfare both locally and nationally. We focus on caring for pets and pet parents, serving animal cruelty victims and providing resources to ensure positive outcomes for at-risk animals. KATHERINE CARVER: Does the ASPCA partner with any other organization(s) to promote its mission? GAIL BUCHWALD: Yes, we could never make such a positive impact on animal welfare without the help of other organizations and groups throughout the country. We launched a Partnership Community program in 2007 that allows us to collaborate with cities and regions seeking the expertise of ASPCA employees to save the lives of at-risk animals in their neighborhoods. We are able to provide resources and encourage the implementation of new tactics that increase adoption rates and decrease euthanasia. We currently have five active Partner Communities and eight that have graduated from the program! In addition to our Partnership Communities, we are also the largest-founding member of the Mayor’s Alliance for NYC’s Animals. This is an umbrella organization for animal welfare, with the goal of making New York City a no-kill community. The Mayor’s Alliance includes more than 150 rescue groups and shelters, encouraging collaborative efforts to place adoptable animals and decrease euthanasia. The ASPCA has provided more than $5M in grants to assist with these services, including spay/neuter and transport efforts. Another great example of working with partners is our recent enhanced commitment to Los Angeles, where we’re collaborating with Downtown Dog Rescue, the Amanda Foundation, Best Friends Animal Society, Stray Cat Alliance, Fix Nation, the Heigl Foundation, Bark Avenue, Found Animals Foundation, and others to keep families and their pets together, protect animals, and save lives. On the animal cruelty side, we work with local law enforcement and local animal welfare agencies around the country to rescue animals from large scale cruelty cases like dog fighting and puppy mills. In New York City, we collaborate with the NYPD to address animal cruelty issues. NYPD takes the lead role in responding to all animal cruelty complaints in the five boroughs, while the ASPCA provides direct care support for animal cruelty victims, including medical treatment, behavior assessments and rehabilitation, and housing and placement. We also partner with human social service agencies to address animal cruelty at its root cause through our Cruelty Intervention and Advocacy program, which works in three main areas: animal hoarding, emergency veterinary care for underserved communities and resources for domestic violence survivors. KATHERINE CARVER: What services are provided to the animals while they are staying at the ASPCA? GAIL BUCHWALD: We can house more than 300 cats and dogs in our Adoption Center, and we provide much more than just shelter. We have a team of veterinary specialists and behavior counselors who provide critical medical and behavioral rehabilitation for the animals coming into our care. Another incredibly important aspect is the assistance we receive from our more than 500 volunteers. 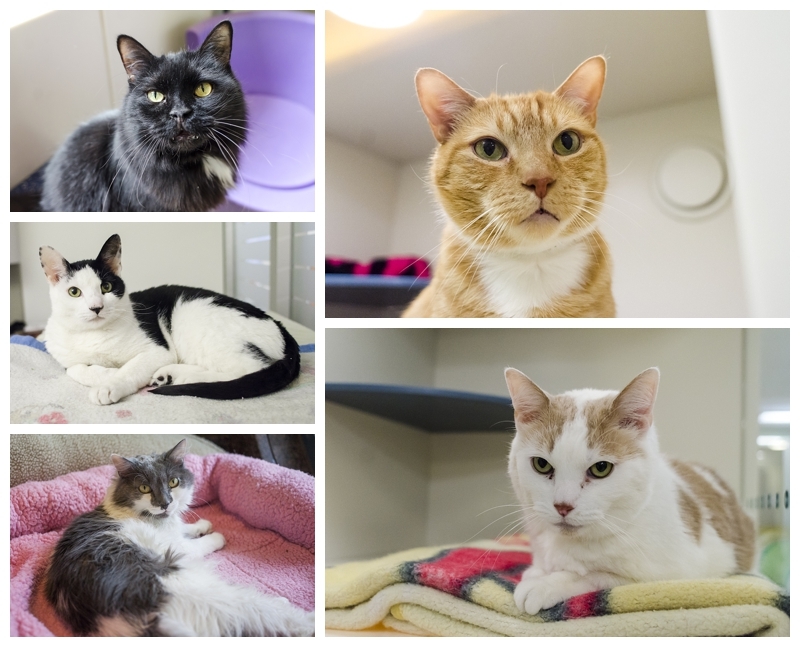 Our Volunteer Program allows for cat socialization, dog walking, training and enrichment, foster care and adoption counseling, which is imperative in making sure an adopter is choosing the perfect match for his or her lifestyle. 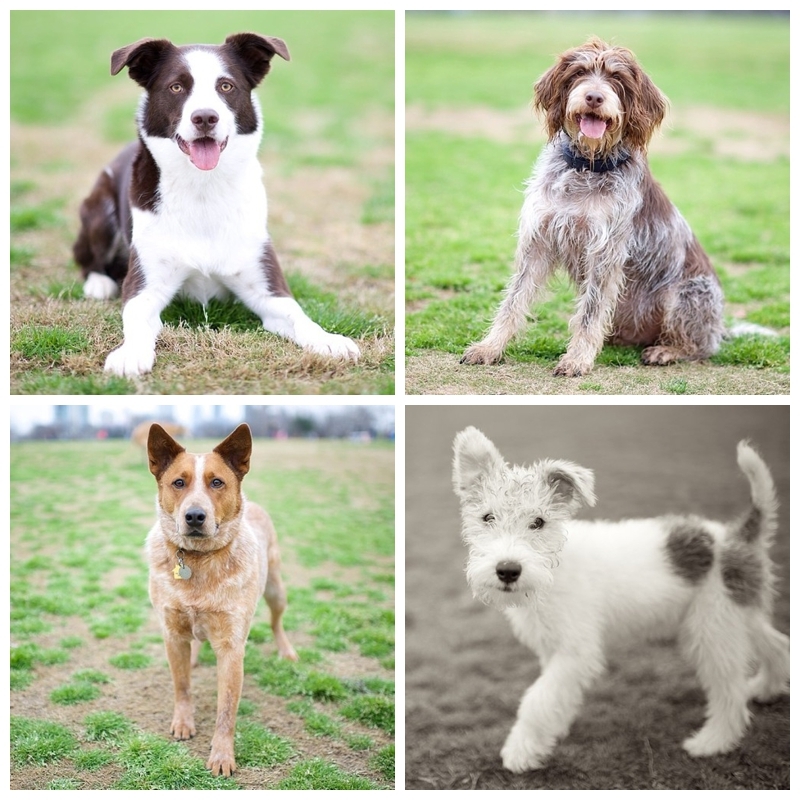 We also provide obedience classes and organized dog play. All of these resources improve the lives of the animals housed in our Adoption Center and our ability to place thousands of cats and dogs in loving homes every year. KATHERINE CARVER: What experience at the ASPCA has moved or inspired you the most? GAIL BUCHWALD: Seeing animals arrive scared and shaking, and watching them become comfortable and trusting, to the point at which they give kisses (dogs) and head-butts (cats) is an amazing experience. In addition to seeing this on a daily basis in the shelter animals, I have witnessed this transformation with my own adopted dog and cats, all of whom arrived at the shelter homeless, afraid and confused, and then blossomed into pets who crave love and have so much love to give. KATHERINE CARVER: What is the most challenging aspect about running the ASPCA Adoption Center? GAIL BUCHWALD: There is a constant need to be flexible and dynamic, always accommodating varying influxes of animals, and all the animals are very needy. This requires flexibility, creativity, vision and planning- all with the ability to turn on a dime. 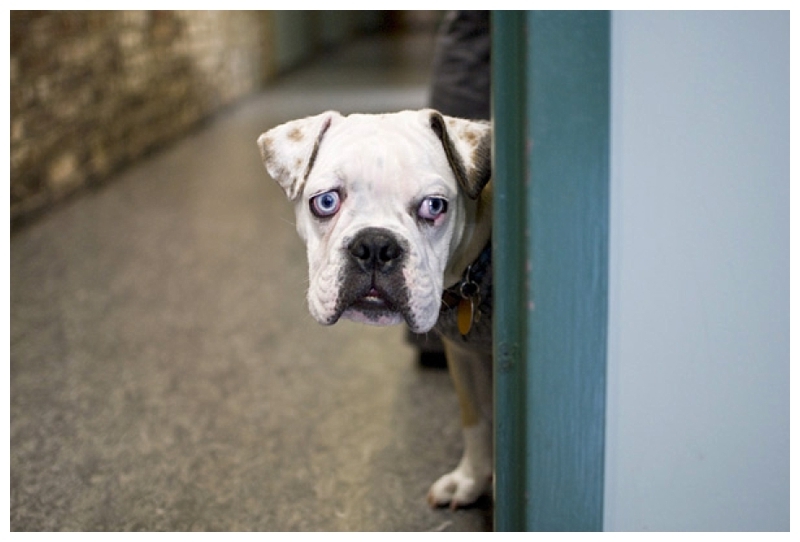 KATHERINE CARVER: What types of animal cases are most prevalent at the ASPCA Adoption Center? GAIL BUCHWALD: The Adoption Center takes in a wide range of animals. Many come from cruelty cases, such as having been starved or neglected. Others arrive because they have been left homeless, and being homeless is the leading risk factor for animals across the country. It’s important for us to help them all, because in the end they are all great animals who deserve a second chance. KATHERINE CARVER: How does the ASPCA promote animal adoption? GAIL BUCHWALD: By holding both large- and small-scale adoption events throughout the year, we’re able to make adoption more accessible for people, and remind them why it should be their first option. For the last four years, we have been holding the ASPCA Rachael Ray $100K Challenge. This three-month national competition inspires animal shelters—and those who support them—to go above and beyond to increase pet adoption, reunite lost pets with their families and save more animals’ lives. Since 2010, hundreds of shelters across the country have used the $100K Challenge to inspire teamwork, come up with new approaches and rally community support to place more animals in loving homes than they did during the same period the year before. The 100K Challenge creates a sense of comradery in communities and rewards shelters for their innovative efforts. Last year, 49 contestants saved more than 55,000 animals’ lives! One of our priorities is also to educate the public on the importance of adoption over purchasing a pet from a pet store. Our No Pet Store Puppies Campaign strives to make people aware of the deplorable conditions in commercial breeding facilities, where the vast majority of pet store puppies come from. By keeping people informed, we can encourage adoption. One of the best ways we can promote adoption is through our communications with supporters, animal advocates and professionals in the animal welfare industry. Through our media outreach, and by engaging with people on Facebook, Twitter and Instagram, we can keep people in the know about animals that are up for the adoption and provide information on how to increase adoption in local shelters. By sharing photos and profiles of our adoptable animals and highlighting success stories of cats and dogs that have found forever homes, we’re able to get people excited about adoption. KATHERINE CARVER: Does the ASPCA participate in or host any events throughout the year? GAIL BUCHWALD: In addition to many of the adoption events throughout the year, we hold various fundraising events which are designed to educate and engage supporters, adopters and those in the animal welfare profession. Every year, we hold the ASPCA Humane Awards Luncheon, which not only recognizes individuals who have made an outstanding difference in the lives of animals, but also celebrates animal heroes who have demonstrated extraordinary efforts. ASPCA Humane Awards are given in six categories: ASPCA Dog of the Year, ASPCA Cat of the Year, ASPCA Tommy P. Monahan Kid of the Year Award, ASPCA Public Service Award, ASPCA Henry Bergh Award and the ASPCA Presidential Service Award. We also host the ASPCA’s Annual Young Friends Benefit, an event that attracts more than 500 young professionals and animal advocates who want to show their support for the ASPCA’S mission. This event provides an opportunity to inspire young professionals to make a difference in the lives of animals through social, educational and philanthropic change. Our signature event of the year is our annual Bergh Ball. Held in New York City, this gala brings together hundreds of animal supporters, including community leaders, celebrities and generous donors. Here, we are able to engage with our donors and update them on both our recent accomplishments and future plans. KATHERINE CARVER: What are the best reasons for adopting an animal versus going through a breeder? GAIL BUCHWALD: We often hear that people purchase from pet stores because they want a pure breed dog or a pet that doesn’t have preexisting health conditions or behavioral issues. What many people don’t realize is that the vast majority of dogs bought in pet stores, even those sourced from USDA licensed breeders, are coming from puppy mills. These are large-scale commercial dog breeding operations where profit is given priority over the well-being of the dogs. Dogs are often housed in overcrowded and unsanitary cages with wire flooring that can injure their paws and legs. Oftentimes, they go without sufficient veterinary care, food, water and socialization. Unfortunately, some pet store puppies coming from these commercial breeders have health conditions because puppy mill operators fail to apply proper practices that would remove genetically compromised dogs from their breeding pools. The conditions within the puppy mills can also contribute to further illness and emotional distress. One benefit of adopting from a shelter is that it allows you to know exactly what you’re getting and whether you’re prepared to handle any issues that may arise. It’s also important to note that there are many breed-specific rescue organizations that give people the opportunity to adopt a pure breed. In fact, 25 percent of dogs that enter shelters are pure breeds. If you can’t find what you want through a shelter or breed rescue group, be sure to learn how to recognize a responsible breeder. Always meet the puppy’s parents or at least the mother, and see where the dogs live. Never meet a breeder at an off-site location, and never have a puppy shipped to you sight-unseen. As part of our No Pet Store Puppies campaign, we launched nopetstorepuppies.com which includes a database of 10,000 photos of U.S. Department of Agriculture (USDA) licensed commercial dog breeders and links many of them to specific pet stores throughout the country. This database further demonstrates that just because a pet store sells puppies from a USDA licensed breeder, it doesn’t necessarily mean the dogs were raised in humane conditions. KATHERINE CARVER: How can people adopt animals from the ASPCA? GAIL BUCHWALD: The ASPCA operates one adoption center, which is in New York City. We’re always thrilled when people are ready to add a companion animal to their home, and we try to make sure anyone looking to adopt is finding a perfect match. Before you come to visit our Adoption Center, it’s helpful to be prepared. You can download our adoption application from our website, which includes our Meet Your Match survey. This is a program we created to make sure we are pairing each adopter with a cat or dog that best fits his or her lifestyle. It’s easy to fall in love with a cute face, but adopting a pet is a long-term commitment, so it’s important to make sure you get to know your pet’s feline- or canine-ality. Meet Your Match is the only existing method that evaluates an animal’s behavior and interests and matches them to an adopter’s preferences. We also encourage adopters to visit the Adoption Center with all members of their household, including dogs. This way we can make sure your new pet is a great fit for everyone. To learn more about what you’ll need to bring with you, and some of the great benefits of adopting from the ASPCA, you can visit our How to Adopt page on our website. If you don’t live in New York, check out our nationwide database of adoptable cats and dogs in local shelters near you! KATHERINE CARVER: What advice can you give to someone who might be considering getting involved with volunteering at an animal shelter? Visit your local shelter’s webpage to find out about volunteer opportunities. Often times, volunteers will need to undergo a training or orientation session before beginning to work with the animals. Check with your shelter to see what types of product they might need. Popular items of need include money, canned food, blankets, towels, newspaper, litter, animal toys, cat boxes, collars, leashes, crates, hand sanitizer, laundry detergent, cleaning tools, animal beds, paper towels, food bowls, plastic shopping bag. Fostering pets is a vital way to help them find permanent homes, but it also creates valuable space in your shelter. It’s important that animals get out of their cages and accustomed to home environments. Once there, these pets will meet people they may never encounter in a shelter – namely, your visiting friends and family, some of whom may be in need of a new companion. If your workplace is the kind of environment where people like to help each other out, suggest a day for your colleagues to donate a few bucks or tips to benefit your community shelter. You can also post signs advertising their adoption events, or show photos of specific animals up for adoption. Ask the shelter for assistance – they’ll probably love to help out. Every business needs a good writer, but not every place has one. If you’re good with words, volunteer your services to a local shelter. Often they have to produce brochure copy, letters to the editor, website text, newsletter articles, advertising slogans, and other needs for a smart scribe. And what could be more fun or fulfilling than using your talent to save lives? Even if you’re not a writer, do you have a special skill they can use, like accounting, public relations, social media, plumbing, carpentry, or electrical work? Name it; they need it. KATHERINE CARVER: What are the future visions and goals of the ASPCA? GAIL BUCHWALD: The ASPCA’s long-term vision is a society in which animals are increasingly saved, protected and treated more humanely due to collective and individual human efforts on their behalf. KATHERINE CARVER: How can people make donations and/or volunteer with the ASPCA? GAIL BUCHWALD: The ASPCA relies on the generosity of donors and volunteers to save the lives of animals across the country. If someone is interested in making a donation, they can visit our website, where they’ll be able to make a one-time contribution or become a member. As I mentioned earlier, our more than 500 volunteers are vital to providing loving care to the dogs and cats in our shelter. The ASPCA’s Volunteer Program accepts online applications on a quarterly basis. We often receive an overwhelming number of volunteer applications and we sometimes cannot accept all of them. 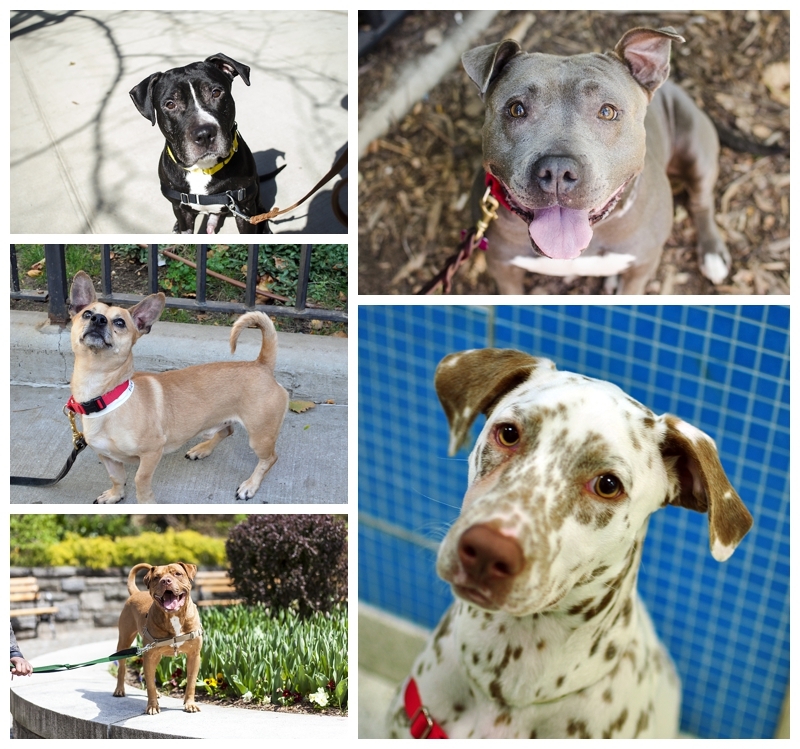 For other volunteer opportunities in NYC, please consider volunteering at the NYC Animal Care and Control (AC&C) shelters in Brooklyn, Manhattan and Staten Island. You also can go to the Mayor’s Alliance website to find a list of shelters and rescue organizations in New York City that use volunteer support. If you live outside of New York City, petfinder.com is a great resource for finding local shelters that can always use an extra hand. KATHERINE How can people obtain further information about the ASPCA? GAIL BUCHWALD: Our website has a ton of tips for pet parents and anyone looking for information on animal welfare. There, you can also sign up to become a member of our ASPCA Advocacy Brigade, where you would receive important alerts from the ASPCA when we need their help to fight laws against animal cruelty. You can also visit our ASPCA Parents site if you are looking for information geared toward children. For real-time updates on ways you can help us spread the word and fight animal cruelty, be sure to follow our Facebook, Twitter and Instagram pages! Please contact the ASPCA if you are interested in adopting an animal in need of a furever home! The photographs included in this post are courtesy of the ASPCA. Recently, I had the great pleasure of interviewing Lorna Evans, photographer. Lorna is a Welsh documentary photographer based in South East and South West Wales. The main focus of her work is exploring animals, our relationship with them and the natural world. Please visit Lorna’s website to view more of her wonderful work! KATHERINE CARVER: What were your beginnings as a photographer and when did you realize it would become your chosen form of expression? Did you study photography/art formally? LORNA EVANS: It wasn’t until I was 17 that I discovered I had a love for photography. I went on holiday to Kenya to go on safari and bought a little point and shoot digital camera. It was during this time that I discovered how much I loved taking photographs. So, when I returned to art college in the UK I left behind my painting and drawing and started to pursue my interest in photography. After art college I attended The University of Wales, Newport where I studied Documentary Photography at BA (hons) and MA level. LORNA EVANS: I think what really differentiates my work is the subjects that I choose to photograph; I’m interested in exploring inter-species relationships and I do this through documentary photography. I think each project I set upon requires a different strategy to be able to translate what I’m trying to say. LORNA EVANS: This was during my BA studies. It took me a while to come to grips with photography and my camera – I struggled at first. It was during creating ‘Vestige’ that I realized this was something that I had to continue, as I had finally discovered what photographs I was interested in making – images that explored our relationships with animals. When I discovered this I found I couldn’t stop. So much so, that when I finished my BA, I decided to go straight into my MA. 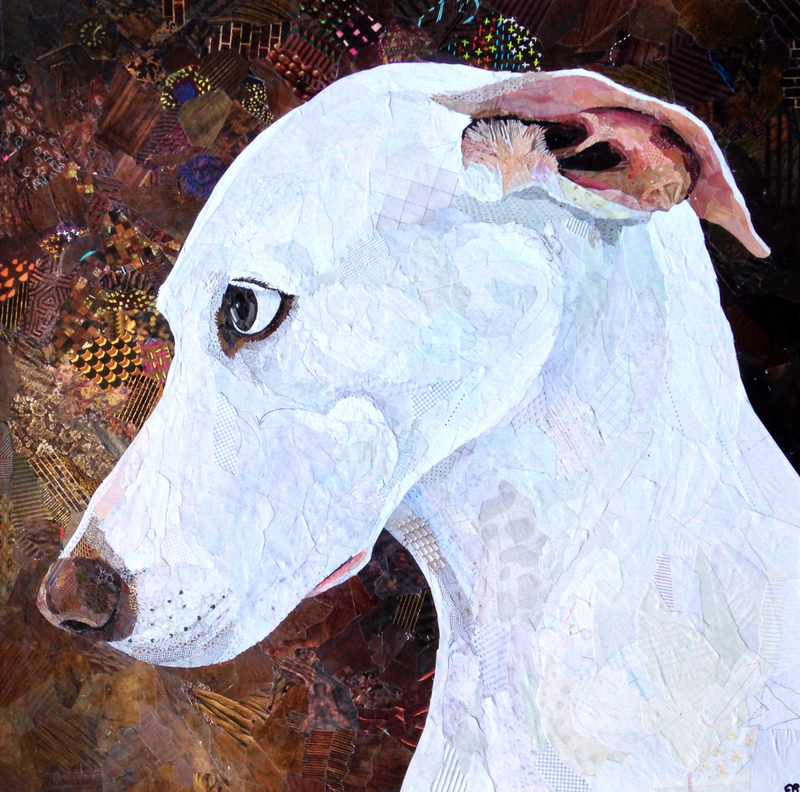 KATHERINE CARVER: What was the impetus that inspired you to begin having dogs as the subject of your work? LORNA EVANS: I have always been drawn to animals. I loved animals as a child (and still do) and grew up with dogs. I use my photographic practice to explore the different relationships between man and animals. Domesticated animals are closest to us, especially dogs. Humans have had a very close connection to dogs for thousands of years and I find this relationship fascinating. KATHERINE CARVER: Where did you get the idea for your body of work entitled, ‘Vestige’? 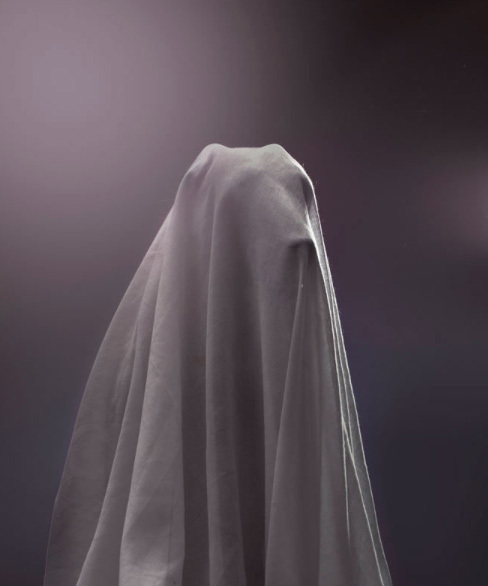 LORNA EVANS: My father died in my presence when I was 12 years old and ever since then I have been very interested in death and transcendence and how people cope with it. I think encountering death at a young age fueled my curiosity. ‘Vestige’ stemmed from not only my fascination with death but also my fascination with animals. People are aware of the tremendous feelings of loss one can feel after a family member or friend dies – ‘Vestige’ was intended to explore how people feel when non-humans die, that a loss is still a loss, and it can hurt so much they can’t let go. KATHERINE CARVER: Where did you get the idea for your body of work entitled, ‘Of The Night’? LORNA EVANS: ‘Of the Night’ started from going out with a group of hunters. These people were my initial focus of the work; photographing them hunting rabbits under the cover of darkness. However, after a while, my focus shifted to the wildlife that was encroaching on the peripheries of the hunt. It was seeing these creatures, some that I had never seen before, that I became acutely aware of the distance between these animals and myself. It was then I decided to explore how humans have become estranged from the natural world. 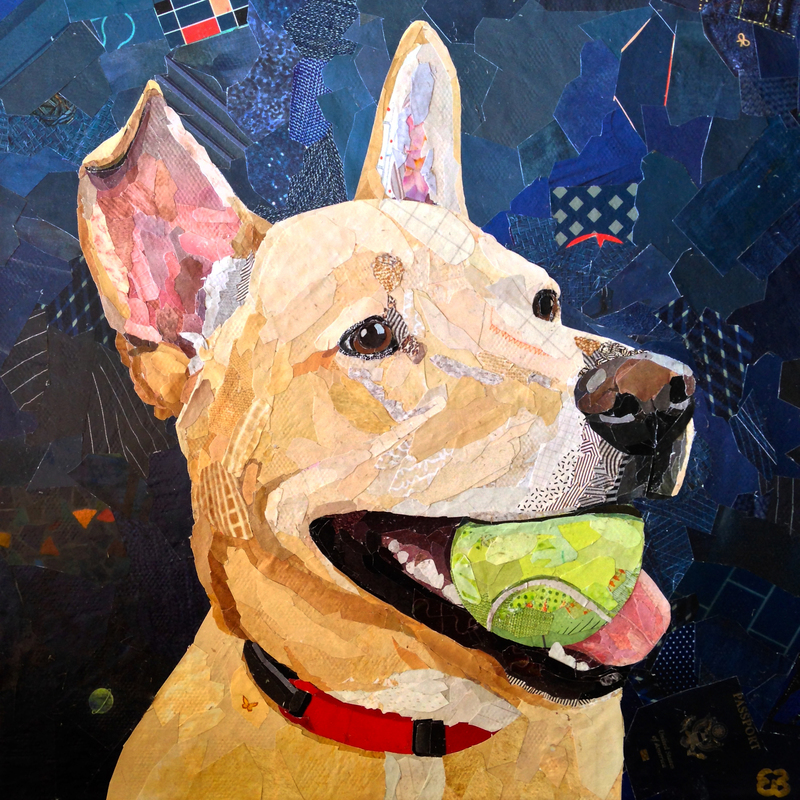 KATHERINE CARVER: How have your own dog(s) influenced your artwork? 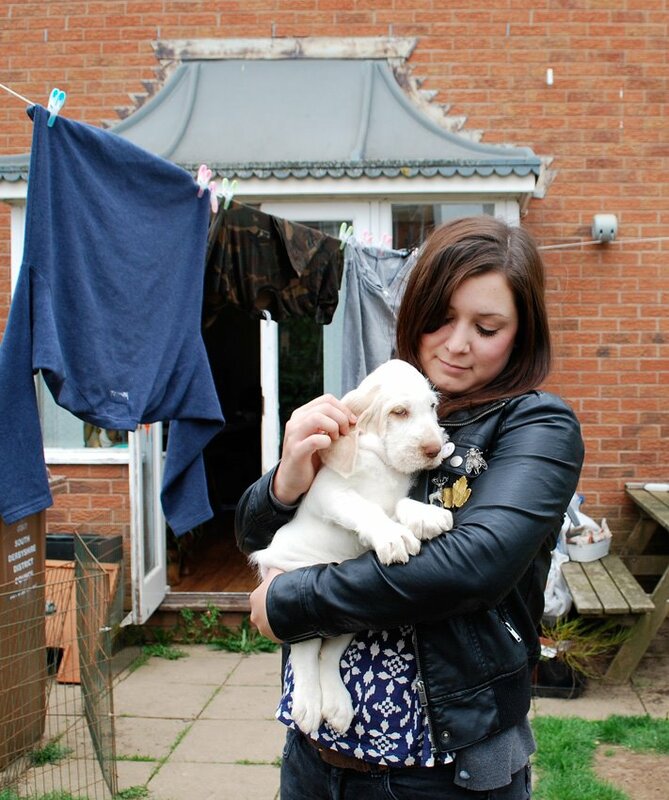 LORNA EVANS: ‘First Love’ was inspired from my own experience growing up with a dog, Bosun, who was my best friend. ‘ Vestige’ was influenced because when Bosun died it really affected the family, especially my mother who could never let go of his ashes that are still in her living room. After many years, I now have another dog, Cassie, who has become the main subject on my Instagram page! My name is @lornizzle, if you wish to follow my adventures with Cassie. LORNA EVANS: So far my work has just been exhibited in the UK, The Photographers Gallery in London being one of my proudest moments. To see where else my work has been please check out my website, www.lornaevans.co.uk. LORNA EVANS: I guess being creative is doing anything that gets your imagination going and your mind thinking, whatever the output may be. For instance, I may not work on ‘serious’ photography every day, but I would say I use Instagram most days. It gets me thinking about my surroundings and the aesthetics, and I feel better for making those images, even if they are just snapshots of my day-to-day life. LORNA EVANS: At the moment I’m finding trying to juggle photography, earning money, and life to be difficult. I still haven’t found that perfect balance yet! LORNA EVANS: Competitions and submissions keep me motivated – getting good feedback makes me realize that I should continue what I’m doing and it gives me that extra boost that’s needed to keep on going. KATHERINE CARVER: What are the most rewarding and satisfying parts about making photographs? LORNA EVANS: I guess it’s what got me into photography in the first place, and that’s seeing and learning new things. You get to talk to people and see and experience things you may not have otherwise. KATHERINE CARVER: You mentioned that you recently photographed at Crufts, can you describe this experience? LORNA EVANS: It was an exciting, bustling atmosphere – people everywhere, so much so I found it made it very difficult carrying all my equipment around. Lots of people were happy to be there and talk to me. Others were less so and took it much more seriously, you could feel how tense they were. It was quite overwhelming seeing so many dogs – I don’t think you can really comprehend it unless you see it. There were five huge halls in which consisted of food stalls and shops selling some of the craziest dog paraphernalia (I remember one was selling what looked a bit like a microwave that you put small dogs in to blow dry their hair). There were also small rings for showing and then rows upon rows of divided stalls where the dogs were kept. The dogs were segregated into breeds so it was quite surreal to see so many of the same dog – imagine hundreds of golden retrievers in front of you, row after row! I heard at Crufts that something ridiculous like 57,000 dogs attend and participate over the course of 4 days. Making images was really fun, every dog has a different personality and so they all reacted differently. Some were well behaved and did exactly what their owners told them, others were young and excitable and less inclined to stay in one place. Some were even a little scared of being on the backdrop, the flash, and the event as a whole. I took a squeaky toy with me, which proved to be a lifesaver! This is great for grabbing a dogs attention and getting them to look at the camera. LORNA EVANS: My newest project is in the early stages and as of yet is untitled, but the premise of the work is about a black panther – that may or may not exist. I remember when I was younger people in my town talking of a supposed large panther type creature. It was dubbed The Beast of Blaenavon by the local paper. There were several sightings and victims were found savaged (geese, chickens and ducks). Not only does the sighting of the creature excite me, but I am fascinated by peoples’ reactions to it and I am interested in blurring the lines of reality and fiction. LORNA EVANS: Some of my favourite photographers include Alessandra Sanguinetti, Ricardo Cases, Charlottle Dumas, Clive Landen – the list is endless! 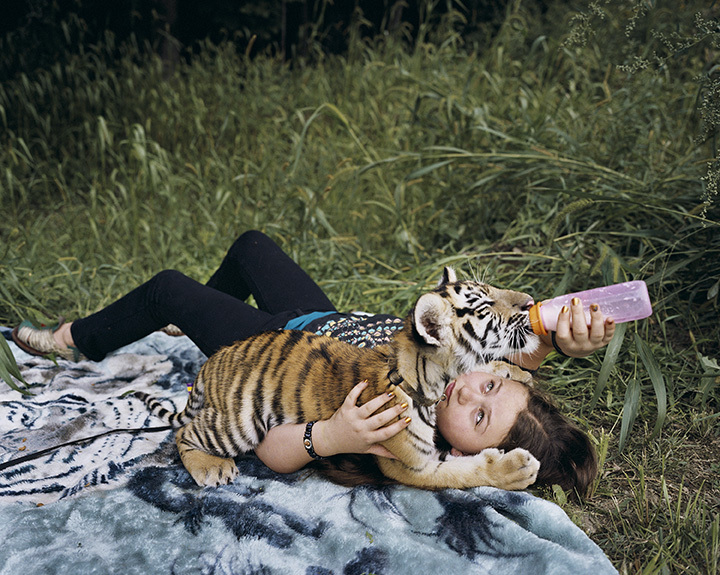 These photographers in particular all explore human-animal relationships. Also, my friends who are practicing photographers inspire me everyday when I see what they’re working on. LORNA EVANS: Nothing happens overnight so it’s important to keep plugging away and doing what you love. Entering competitions is essential, it’s really important to keep putting yourself out there. Don’t let yourself get knocked backed if you aren’t successful with a submission – your work may have not been right for them. Art and photography is very subjective. If you don’t try you’ll never know. LORNA EVANS: You can view my work on my website www.lornaevans.co.uk. If people would like to purchase prints, I can be contacted at lornarebeccaevans@gmail.com. The photographs included in this post are courtesy of Lorna Evans. Recently, I had the great pleasure of interviewing Elias Weiss Friedman, photographer, known as The Dogist. Elias lives in New York City, and a selection of his work is displayed below. 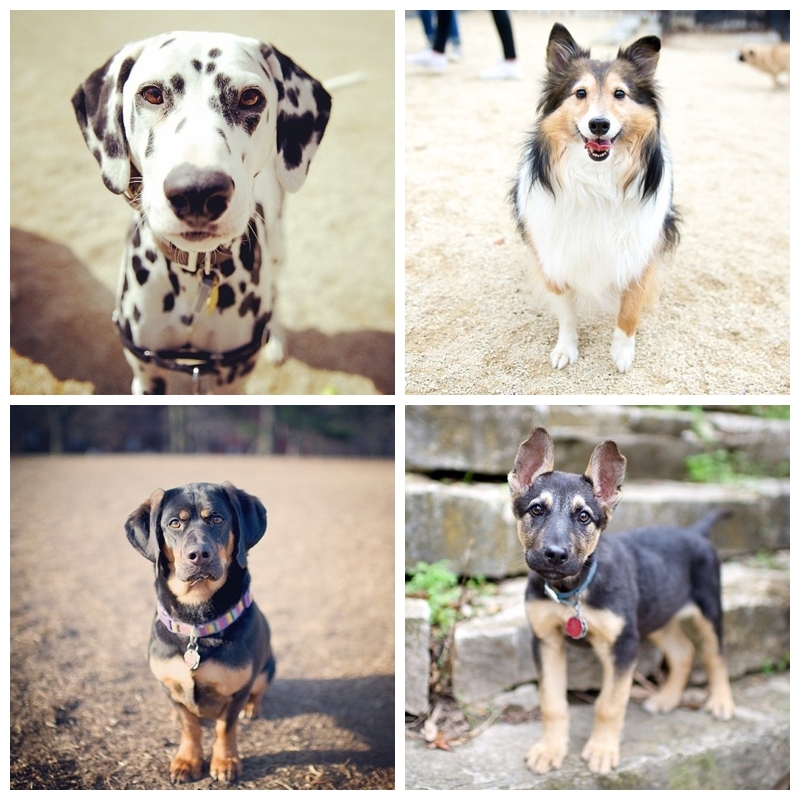 Please visit The Dogist to view more of Elias’ work! ELIAS WEISS FRIEDMAN: I grew up with a darkroom. My dad made portraits of all the kids every year and hung them in series on the walls – I guess my first impressions for portrait aesthetic were made there. I got my first Nikon SLR when I was 12 and it’s been a constant evolution since then – mostly as an avid hobby. I knew pursuing photography as an artist would be challenging. I fell back in love with it when I realized I could use it to connect with people (and their dogs). ELIAS WEISS FRIEDMAN: I took classes in high school, was an assistant teacher during a summer program, and took a digital course during college. I had fun with it and did a few events, but it was never my primary focus. ELIAS WEISS FRIEDMAN: I might describe it as candid. With The Dogist, you only see one image, but there’s a whole interaction and often silly set of images you get with dogs. They come up to the lens, they bark, they hide behind their owners, etc – eventually they settle down and just look right at me. That’s when you hear the shutter flutter. They don’t know they’re having their picture taken per se, but they know I want them to be “good.” I try to capture them in this state. They look posed like something a human might do, but it’s really just them trying to please (and to possibly get the tennis ball I have above my lens). ELIAS WEISS FRIEDMAN: Telling stories about dogs and realizing I could connect with people through their dogs was and is the biggest part of it. Dogs are a huge part of our society, and it seemed nobody knew who they were – ‘Dogs are people too’, I say. I get a lot of messages from people around the world telling me my photographs are the bright point in their day. That’s very fulfilling as an artist. KATHERINE CARVER: What was the impetus that inspired you to begin your photography project, The Dogist? ELIAS WEISS FRIEDMAN: A lot of it has to do with Instagram. “Good art” is art that people like. I was always frustrated with the mediums through which people shared photos. I always felt like I was asking people to go out of their way to see my pictures. Everyone’s got Instagram in their pocket now. It’s simple and intimate. KATHERINE CARVER: What is your goal, vision with your photography project, The Dogist? 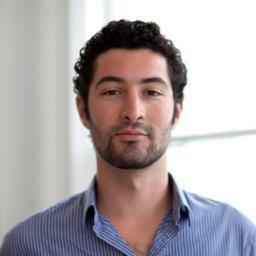 ELIAS WEISS FRIEDMAN: I want The Dogist to grow. I want to photograph dogs around the world doing different things. So much of news is negative or unfortunate; I’m glad I can document something fun and positive. It’s kind of a dream job if I can make it work. 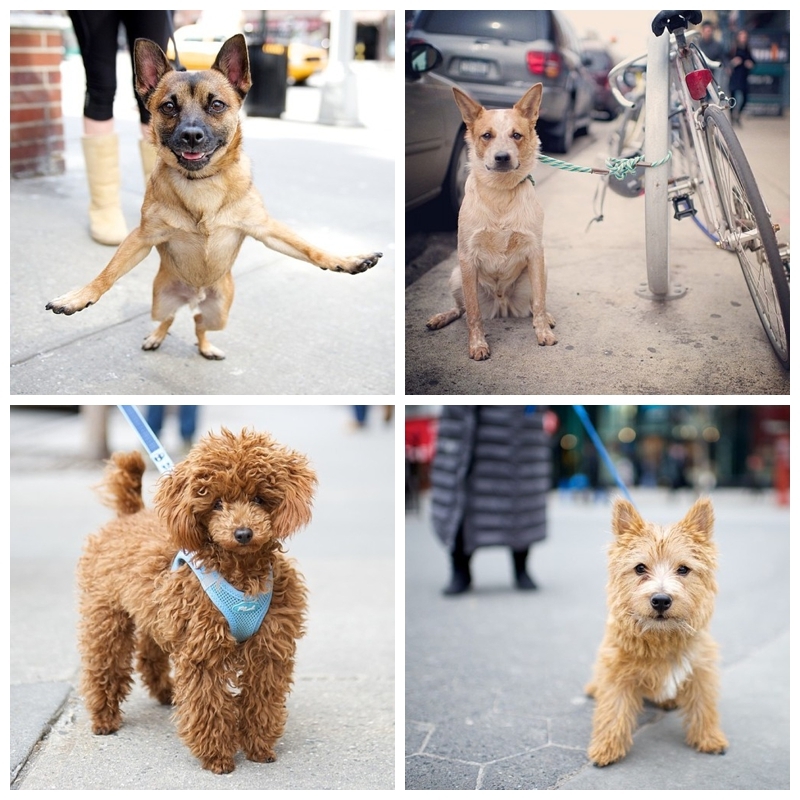 The Dogist is a photo-series but also a business since I’m doing it full-time. 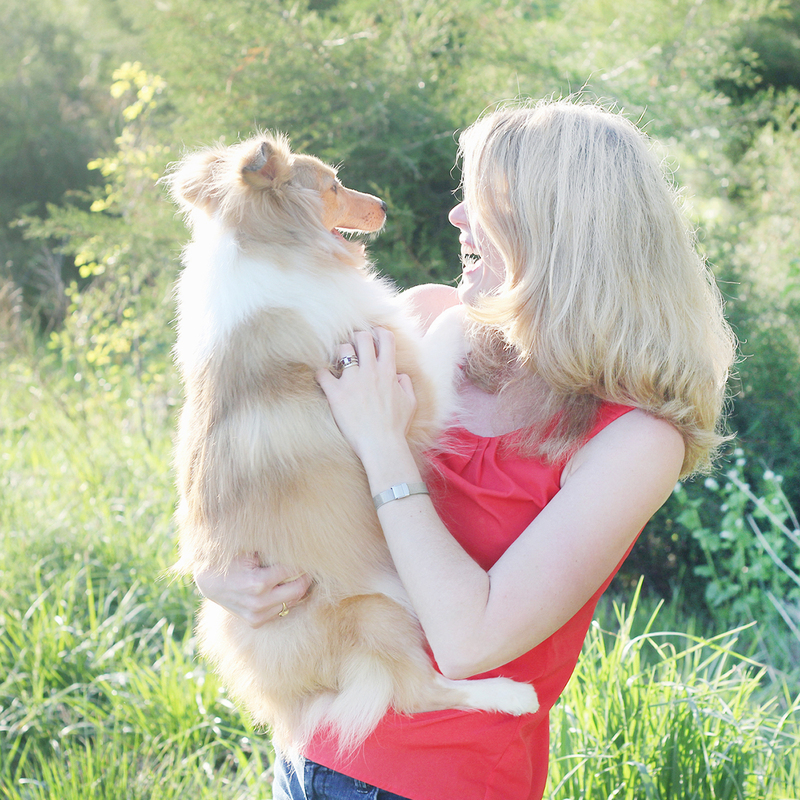 KATHERINE CARVER: How have your own dog(s) influenced your work? ELIAS WEISS FRIEDMAN: I grew up with dogs around the house – each color of Lab, some poodles, some doodles. They always made great photo subjects. I’m a very goofy guy at heart – I always treated our dogs like people and spoke on their behalf (dog ventriloquism). The Dogist is about the dogs, but it’s also about me taking something as formal and serious as portraiture and applying it to pets. ELIAS WEISS FRIEDMAN: Being creative means making stuff. I have no idea what I’m going to get when I walk out the door with my camera. People always ask me about what camera I use, what techniques I use, where I find all the dogs, etc. They’re asking the wrong questions. Creating is actually the easy part – the hard part is putting yourself in a position to do it every day. ELIAS WEISS FRIEDMAN: Making a living. Everyone has a camera these days. Lots of people are doing it professionally or are working part-time to support their passion. If you’re going to be a successful photographer, you also have to be an entrepreneur. On a day to day basis, it’s getting yourself out to new places and not dropping your lenses. ELIAS WEISS FRIEDMAN: The Dogist has gotten a lot of traction and attention since I started doing it five short months ago – that’s encouraging. I still get excited watching the activity and reading the comments around my photos. I make a difference in many people’s and dog’s lives every day – what’s more inspiring that that!? KATHERINE CARVER: What kind of patterns, rituals, and routines do you have while making photographs? ELIAS WEISS FRIEDMAN: I always approach the owner first, making sure they’re comfortable with me distracting their dog for a few minutes. Any reluctance on the owner’s part and I’m on to the next dog across the street. Once I do get an “okay,” I typically use a squeaky tennis ball to get the dog’s attention if it’s not otherwise interested in me. I have a pretty good bark too if all else fails. KATHERINE CARVER: What photographers/artists inspire your work? ELIAS WEISS FRIEDMAN: Richard Avedon is the first name that comes to mind. He was the guy everyone had to have take their portrait back in the day. His work has its own style and variety but he as a person was a real charmer. I like that combination. I like my work to have that variety of seriousness with tongue-in-cheek playfulness. ELIAS WEISS FRIEDMAN: Don’t let anything get in your way. People love creativity and there are more channels to make your work known than ever before. No excuses. The difference between an ‘aspiring artist’ and a true artist is action. Talent comes through practice. I post 3-4 photos a day on The Dogist, which can be viewed at thedogist.com and @thedogist on Instagram, Facebook, and Twitter. The photographs included in this post are courtesy of Elias Weiss Friedman.